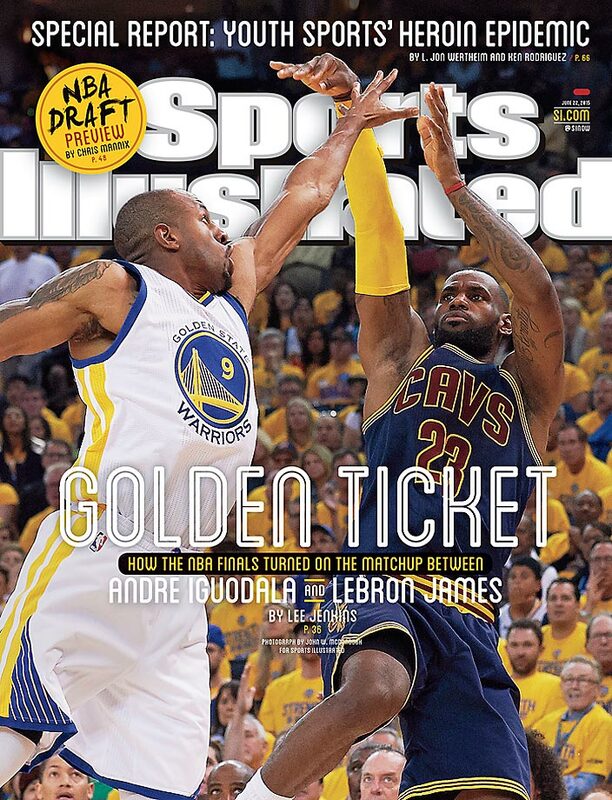 Andre Iguodala and LeBron James are on this week's cover of Sports Illustrated. Golden State Warriors guard Andre Iguodala has spent the better part of his 11 NBA seasons primarily known for his defense, being named to the All-Defensive team twice and earning first-team honors last season. When he entered the league as the ninth pick by the Philadelphia 76ers in the 2004 draft, Iguodala began to visualize, via a mental book, how to stop what has become the world's best player, even though LeBron James himself came into the NBA just a year before Iguodala. Mental notes aside, Iguodala and the rest of his Warriors teammates have had no answer for James, who is averaging 36 points, 12 rebounds and eight assists through the first five games of the NBA Finals. 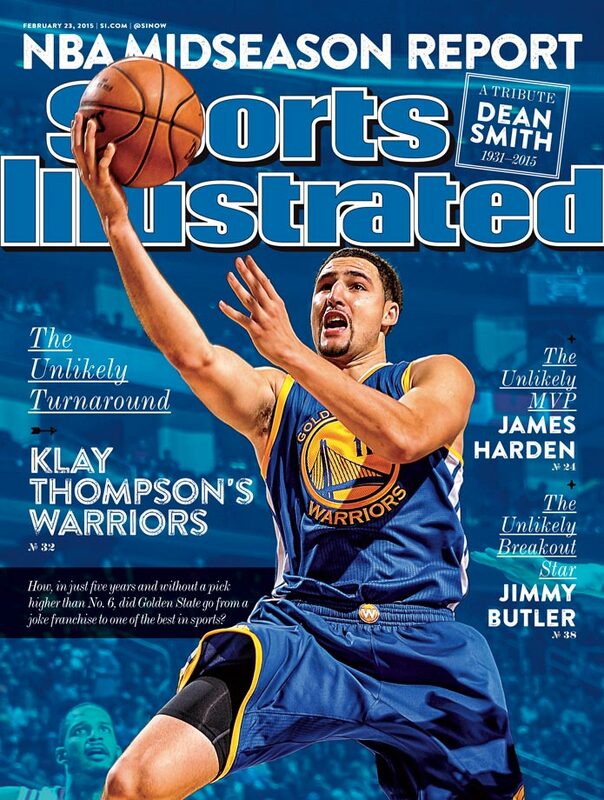 But when Iguodala does guard James, the pages of the book are clear. 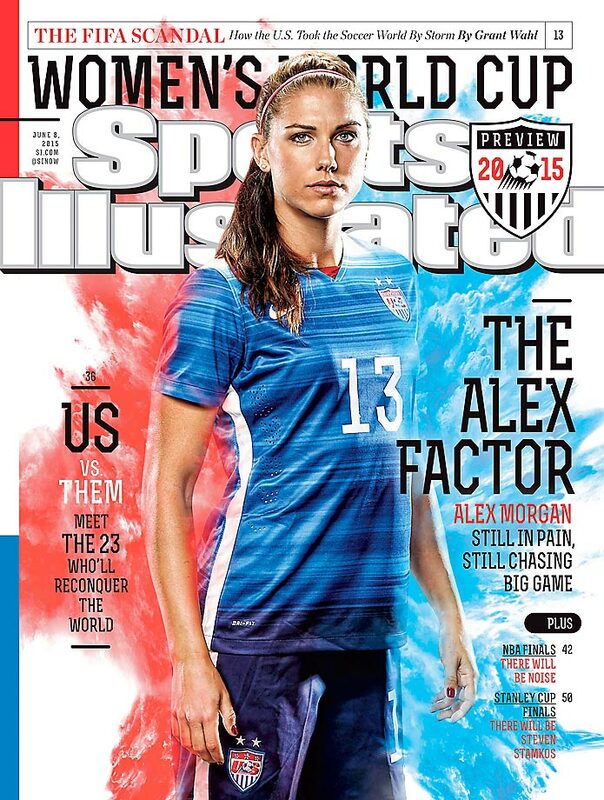 "Don’t overreact" is on the first page. Iguodala, at 6'6" and 215 pounds, replaced 7-footer Andrew Bogut in the starting lineup in Game 4 and is being praised for his offense this time around, averaging 14.6 points in the NBA Finals in 30 minutes per game against the Cavaliers, both marks well above his season averages for the season. Golden State hired Steve Kerr in May 2014, and he immediately set out on how to make a 51-win playoff team better. First on his agenda was benching Iguodala in favor of Harrison Barnes to see if the team could prove offensively. In 2013-14, the Warriors ranked 12th in offensive efficiency and fourth in defense. This season, those numbers improved to second in offense and first in defense. From the outside looking in, it appeared Iguodala was unhappy with the demotion. “He’s pouting. Put him in the corner," one assistant said. “I’m fine,” Iguodala kept telling Bruce Fraser, the Warriors’ player development coach. The Warriors didn't lose him, and Iguodala, who came off the bench for the first 100 games this season, has the team on the brink of securing the Bay Area's first title in 40 years. 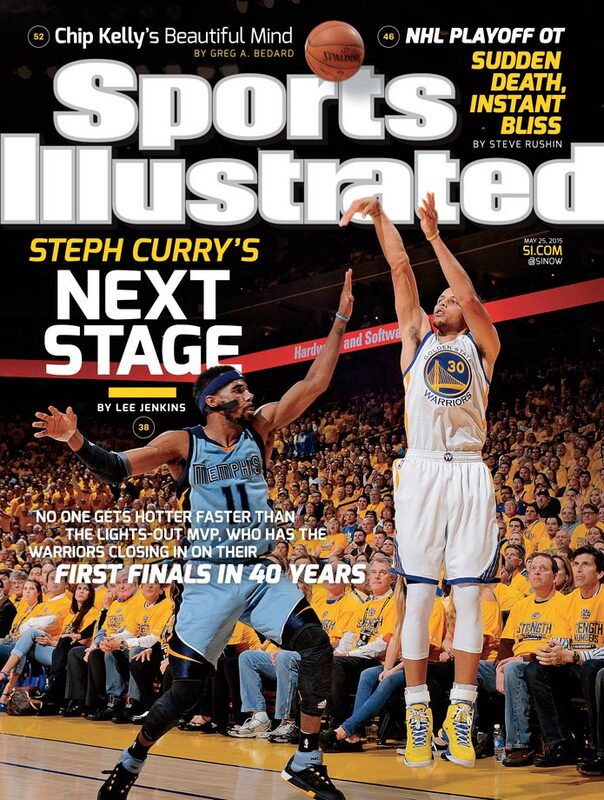 For more on the James and Iguodala, check out Lee Jenkins’s story in this week’s Sports Illustrated (subscribe here). 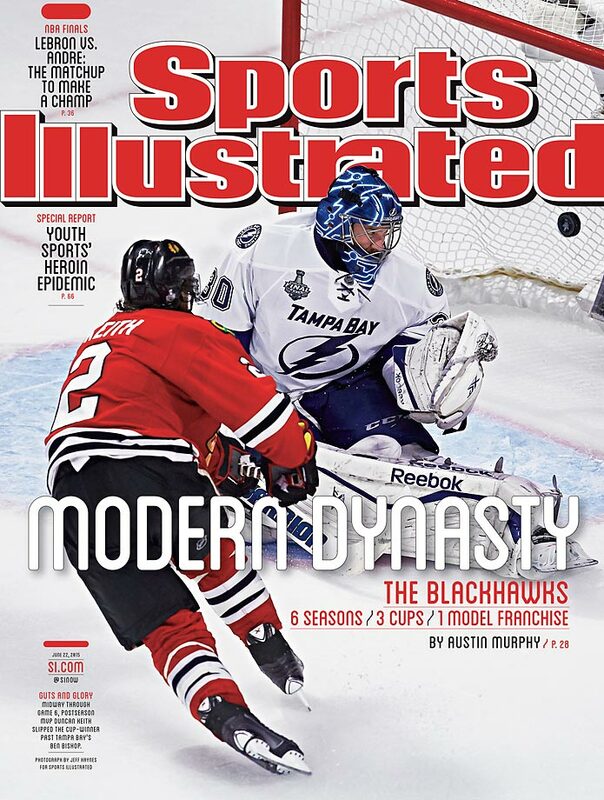 Also in this issue: The Chicago Blackhawks and their modern dynasty, a preview of the NBA draft and a special report of the heroin epidemic in youth sports. 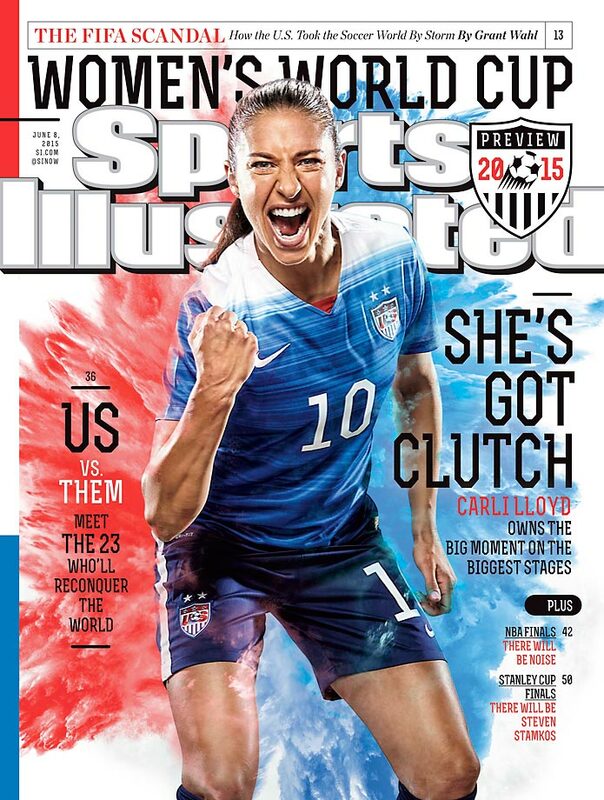 Subscribers and newsstands in Washington, California, Oregon, Idaho, Nevada, Utah and Arizona will receive this cover. Not in the area to buy the regional or national issue? Buy single issues here. 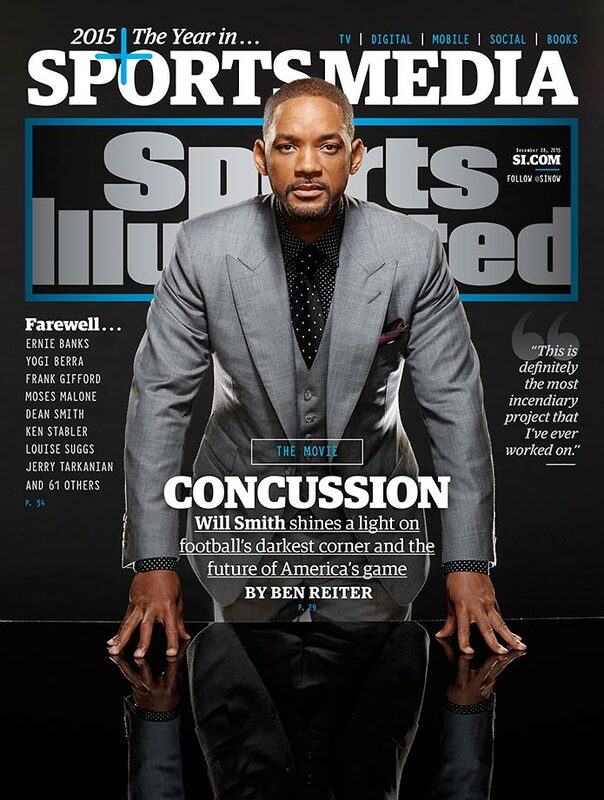 December 21, 2015 | This week’s cover of Sports Illustrated features actor Will Smith ahead of the Christmas Day release of the movie Concussion. 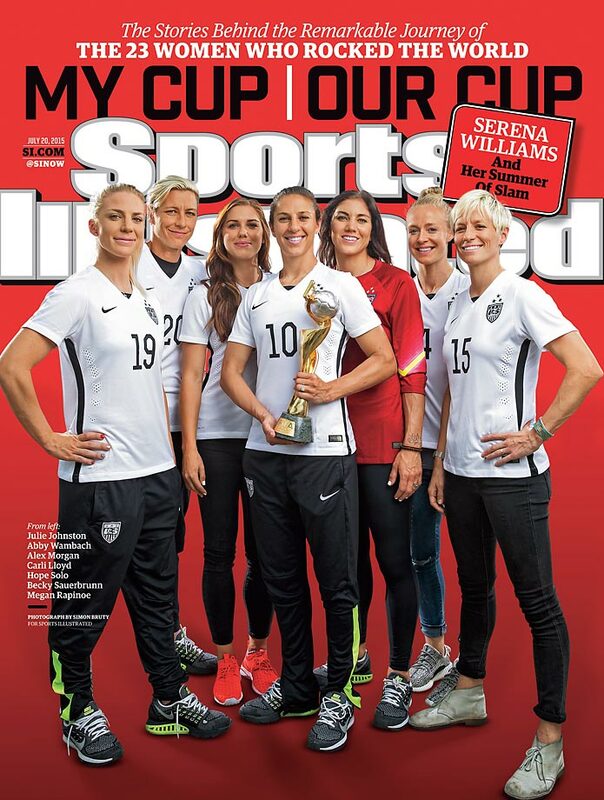 December 21, 2015 | Serena Williams is Sports Illustrated's 2015 Sportsperson of the Year. 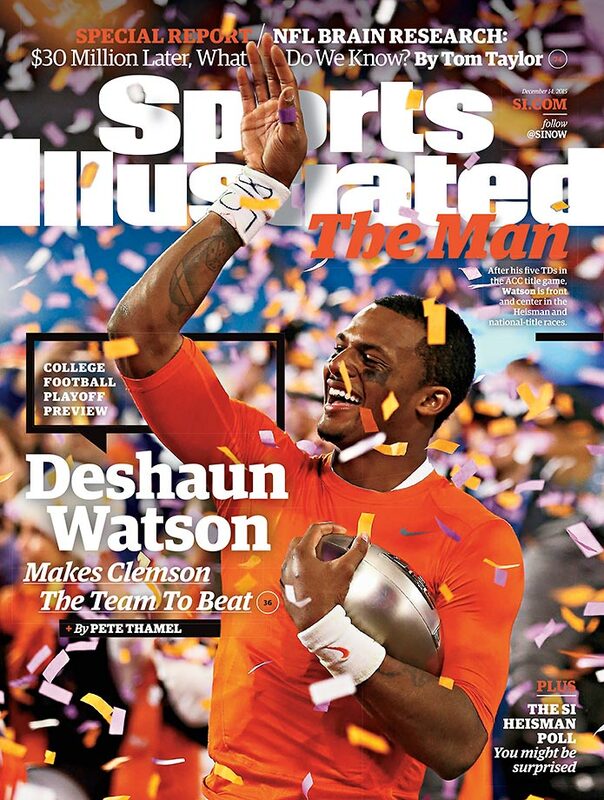 December 14, 2015 | Clemson quarterback Deshaun Watson, one of the finalists for the Heisman Trophy, is featured on the College Football Playoff preview issue of Sports Illustrated. 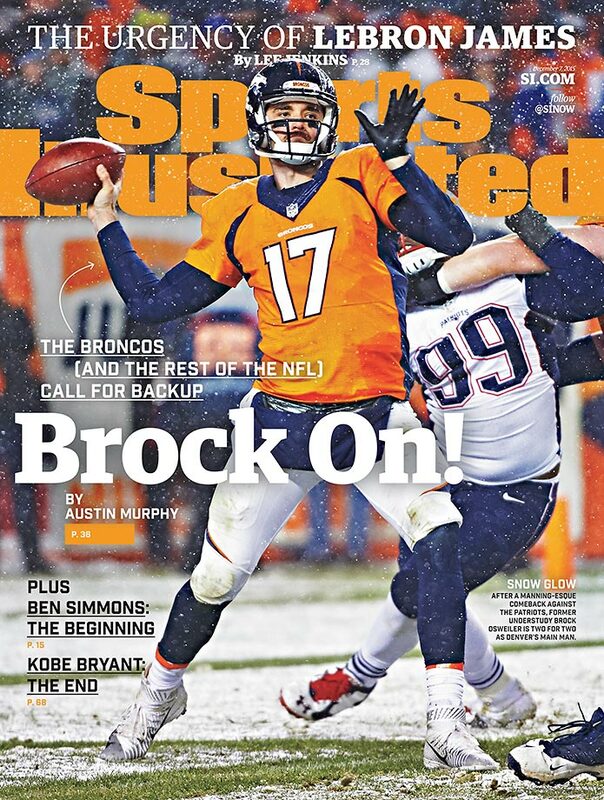 December 7, 2015 | Two games after replacing the injured Peyton Manning as Denver's quarterback, Brock Osweiler lands on a regional cover of SI on the strength of victories over Chicago and undefeated New England. 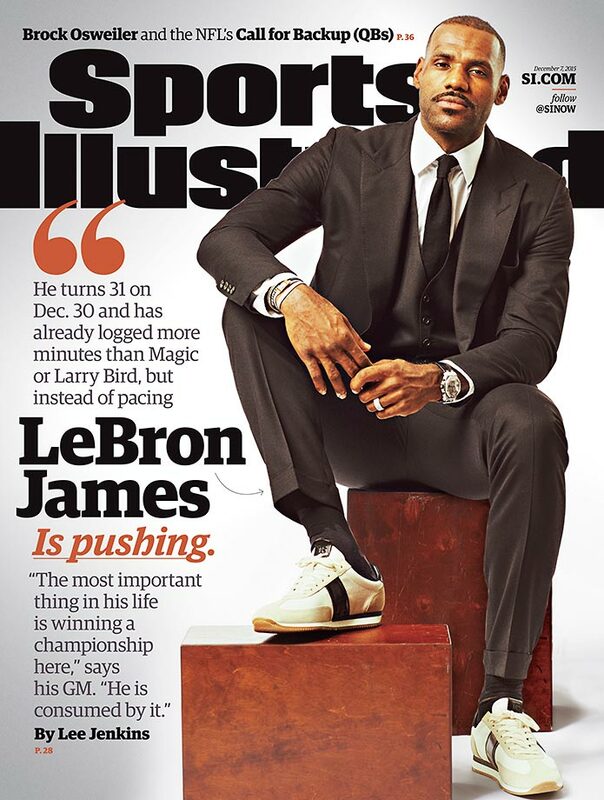 December 7, 2015 | LeBron James appears on yet another cover of SI, this time with an exclusive interview on what the past 16 months have been like since his return to Cleveland and the urgency he feels to win another title. 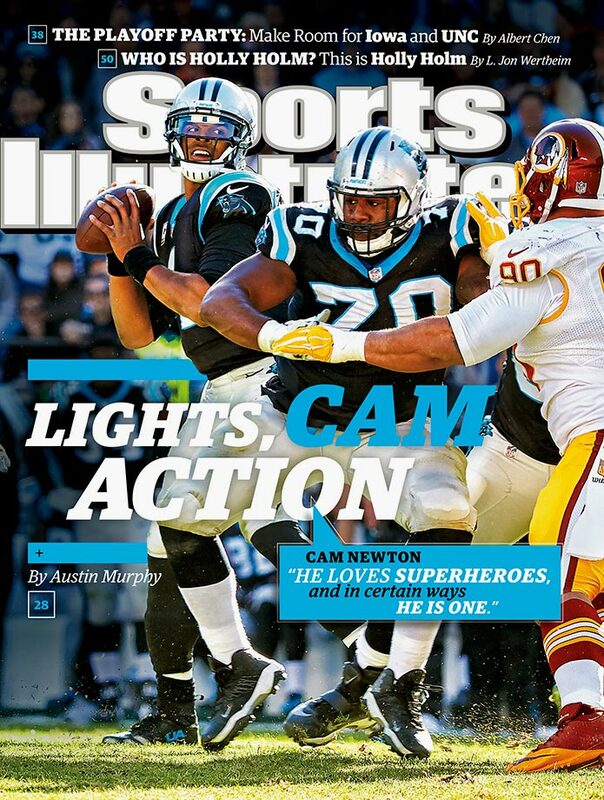 November 30, 2015 | Quarterback Cam Newton and the 10–0 Carolina Panthers are featured on this week’s national cover of SI. Carolina has been led in the quest to remain undefeated by Newton, who has generated controversy with his on-field antics. 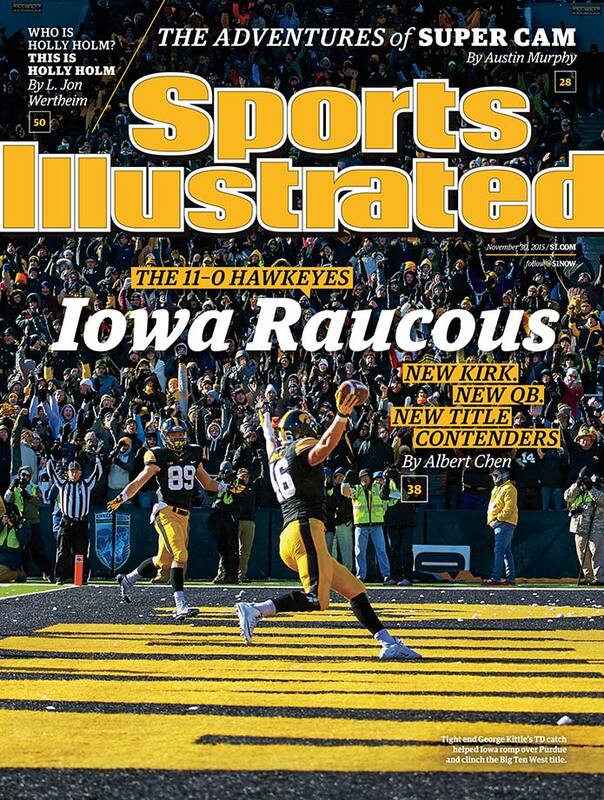 November 30, 2015 | Iowa football, which shares the Panthers’ undefeated record, is featured on the regional cover delivered to the following locations: Missouri, Indiana, Michigan, Illinois, Wisconsin, Iowa, Nebraska, South Dakota, North Dakota, Minnesota. 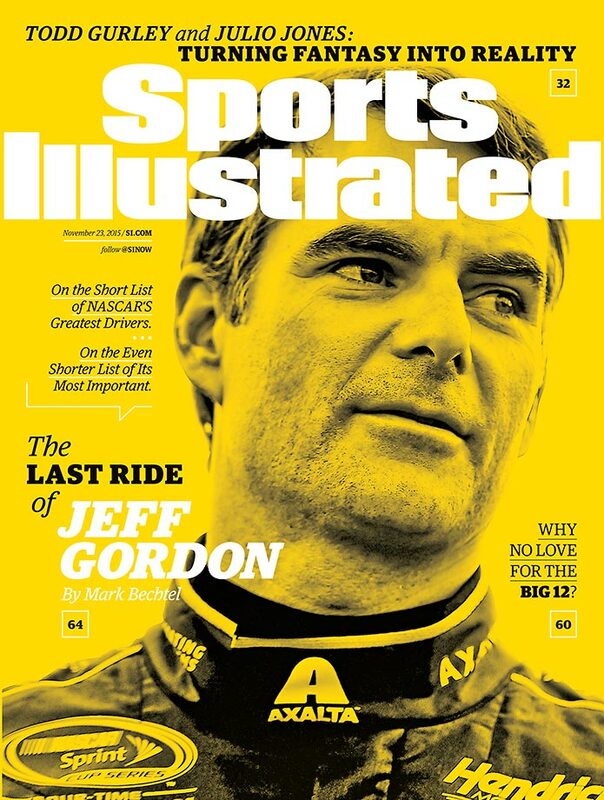 November 23, 2015 | Fourteen years after he won his fourth Cup title, Jeff Gordon is in NASCAR's final four with a shot at one more championship. 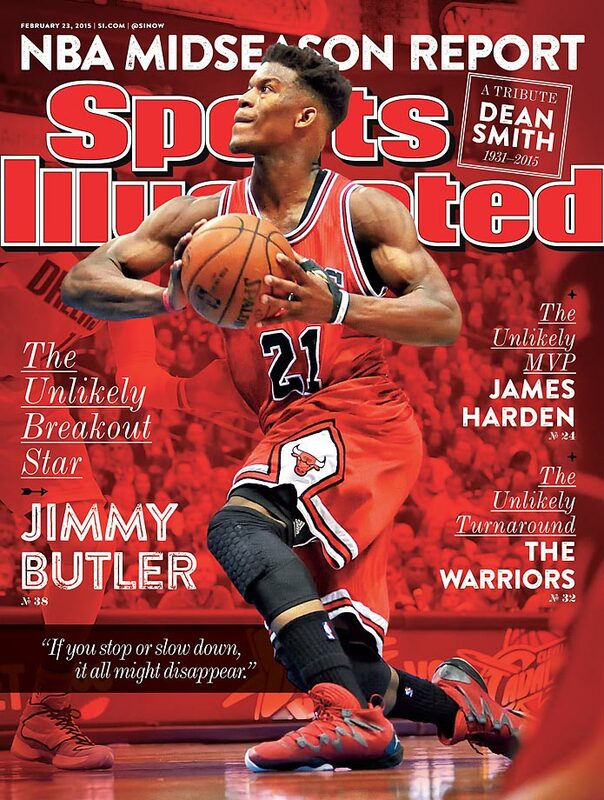 That earned him a spot on this week's cover of SI. 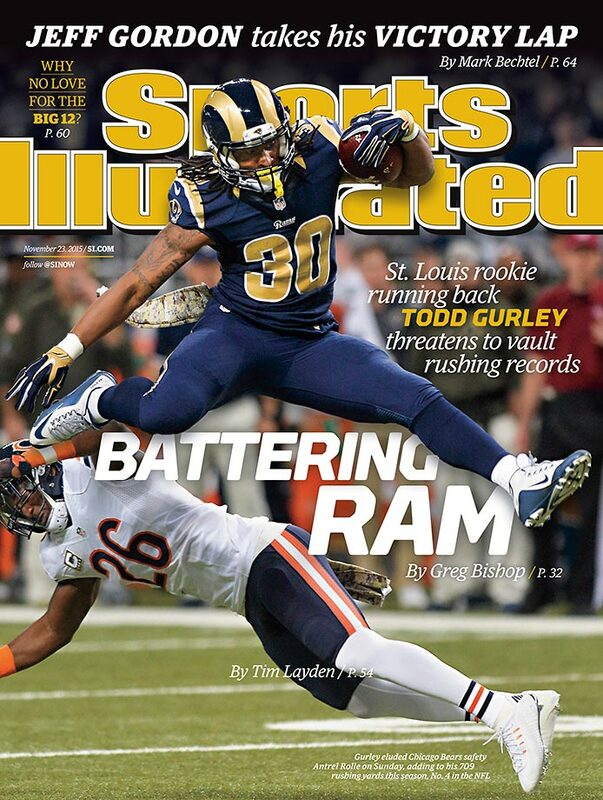 November 23, 2015 | It's not hard to imagine all the rushing records falling to St. Louis Rams rookie Todd Gurley, who appears on a regional cover of this week's SI. November 16, 2015 | A year ago the best swimmer in Olympic history was lost. 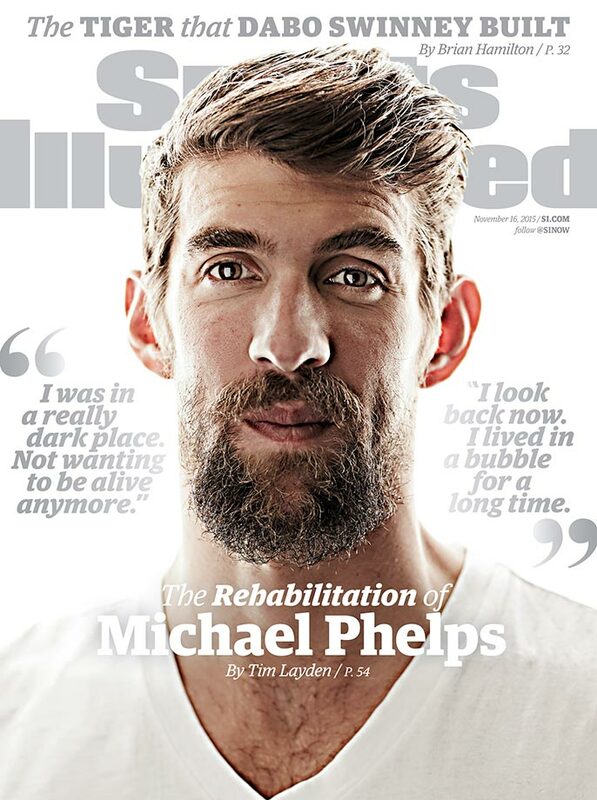 Now, after coming to terms with himself, the best might lie ahead for Michael Phelps, who appears on this week's SI cover. 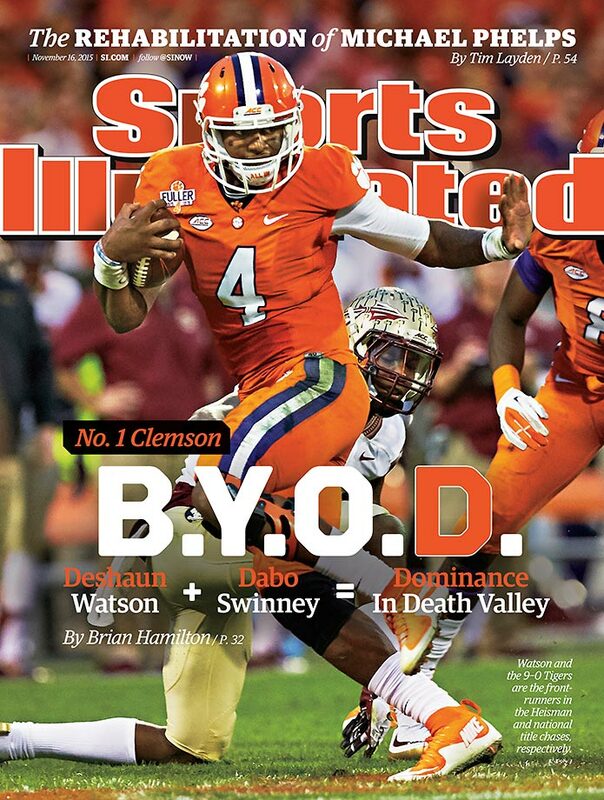 November 16, 2015 | Regional Cover: When not coining acronyms, Dabo Swinney is building the nation's #1 team, which is why Clemson is on the cover of the mid-November issue of SI. 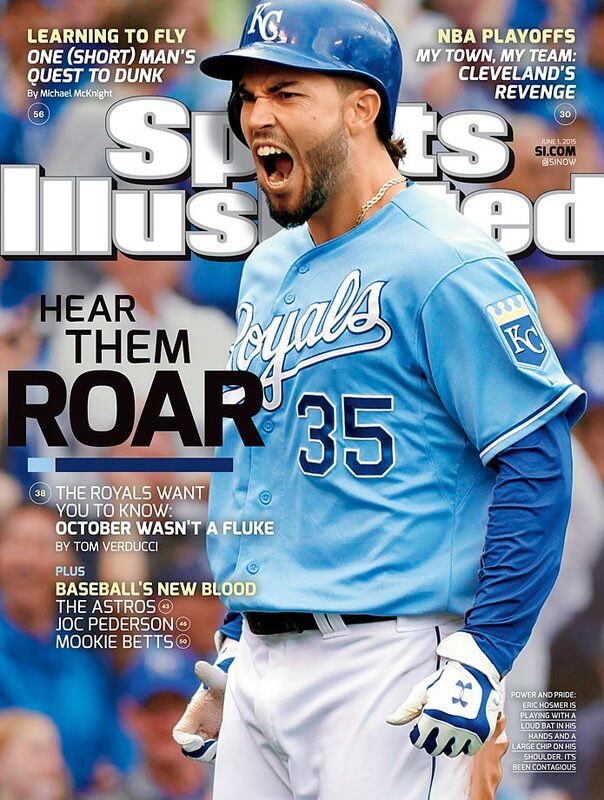 November 9, 2015 | After winning their first World Series title since 1985, the Kansas City Royals are featured on this week’s cover of Sports Illustrated. 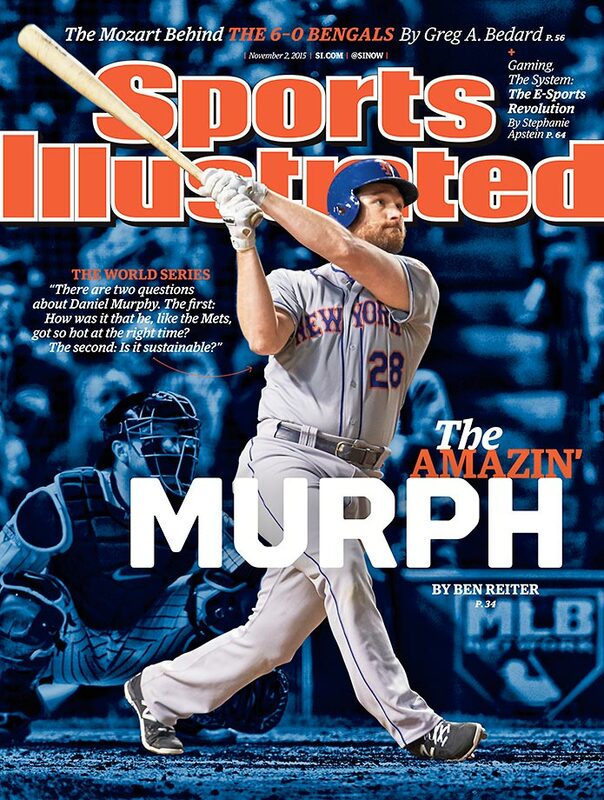 November 2, 2015 | New York Mets second baseman Daniel Murphy, the NLCS MVP who helped his team reach the World Series, is on this week's cover of Sports Illustrated. Murphy hit an astronomical .421 with a 1.026 slugging percentage in the first two rounds of the playoffs, thanks to his seven home runs, six of which he hit in consecutive games. 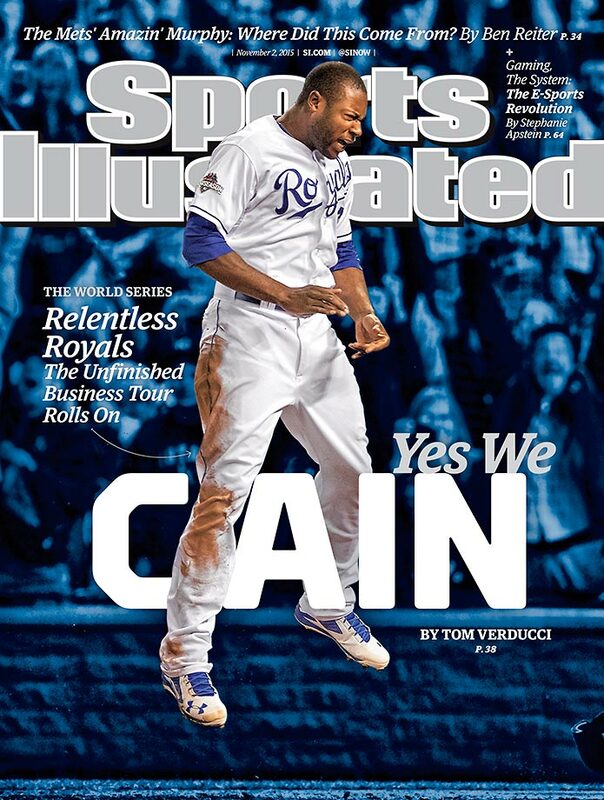 November 2, 2015 | With the Kansas City Royals back in the World Series, centerfielder Lorenzo Cain appears on a regional issue of Sports Illustrated. Cain was the 2014 ALCS MVP and hit .300 in this year’s ALCS as the Royals peppered the Toronto Blue Jays with hits to score 38 runs and earn a ticket to baseball’s finale. 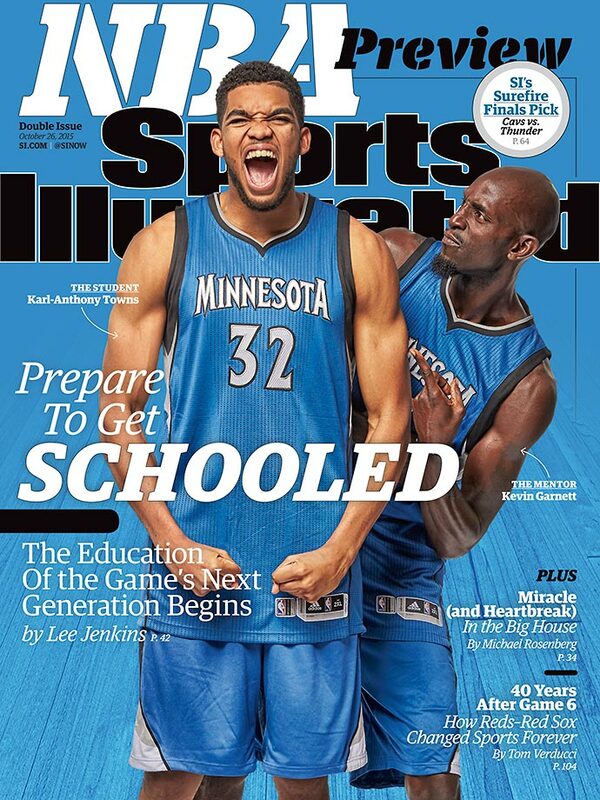 October 26, 2015 | Four NBA teams are featured on the cover of this week’s NBA Preview issue of Sports Illustrated, which takes a look at how each team’s superstars will act as mentors to their next wave of stars, including Minnesota's Karl-Anthony Towns and Kevin Garnett (pictured at right). 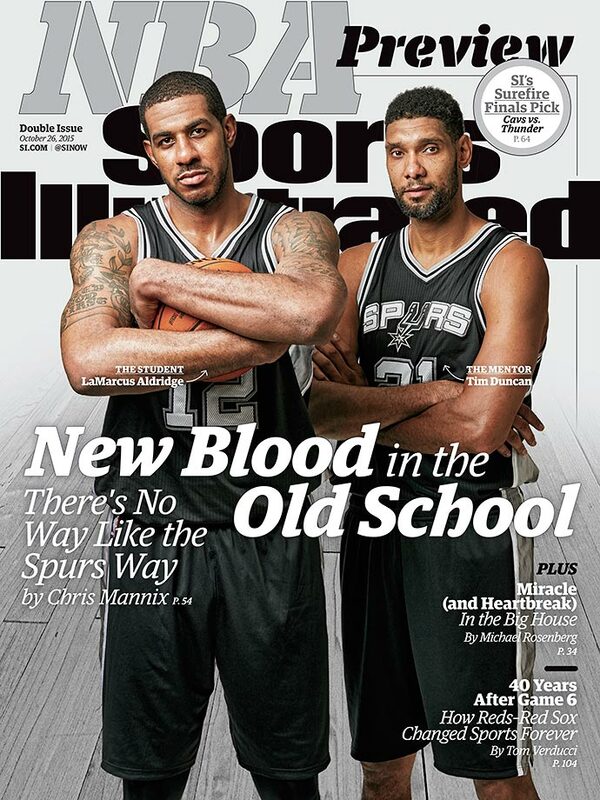 October 26, 2015 | Four NBA teams are featured on the cover of this week’s NBA Preview issue of Sports Illustrated, which takes a look at how each team’s superstars will act as mentors to their next wave of stars, including LaMarcus Aldridge and Tim Duncan (pictured at right). 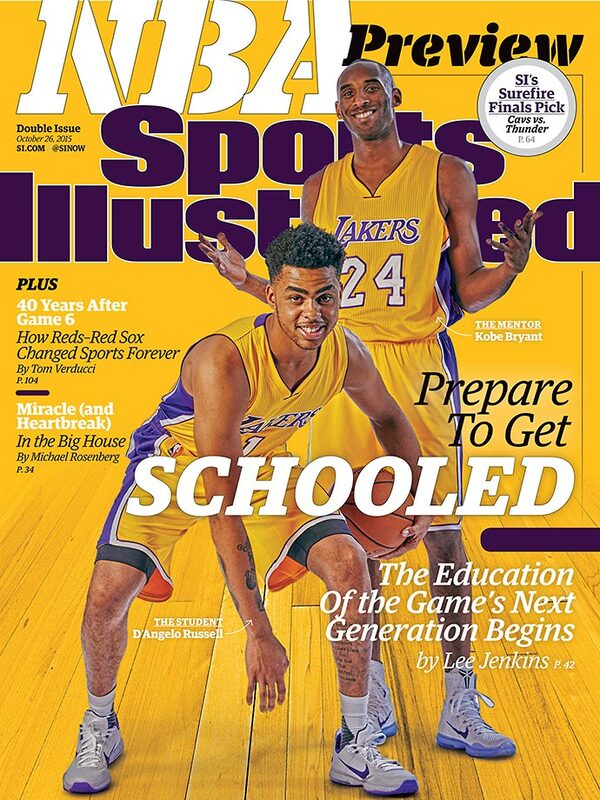 October 26, 2015 | Four NBA teams are featured on the cover of this week’s NBA Preview issue of Sports Illustrated, which takes a look at how each team’s superstars will act as mentors to their next wave of stars, including Kobe Bryant and D'Angelo Russell (pictured at right). 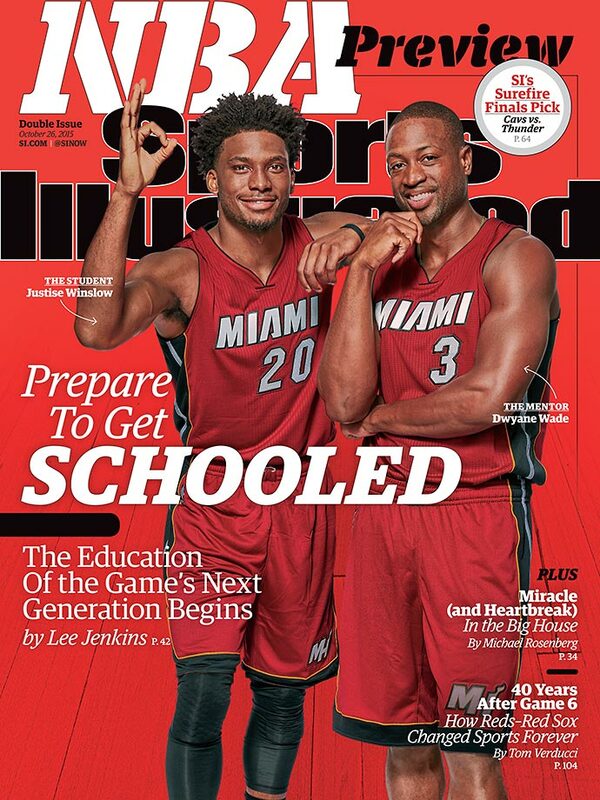 October 26, 2015 | Four NBA teams are featured on the cover of this week’s NBA Preview issue of Sports Illustrated, which takes a look at how each team’s superstars will act as mentors to their next wave of stars,including Dwyane Wade and Justice Winslow (pictured at right). 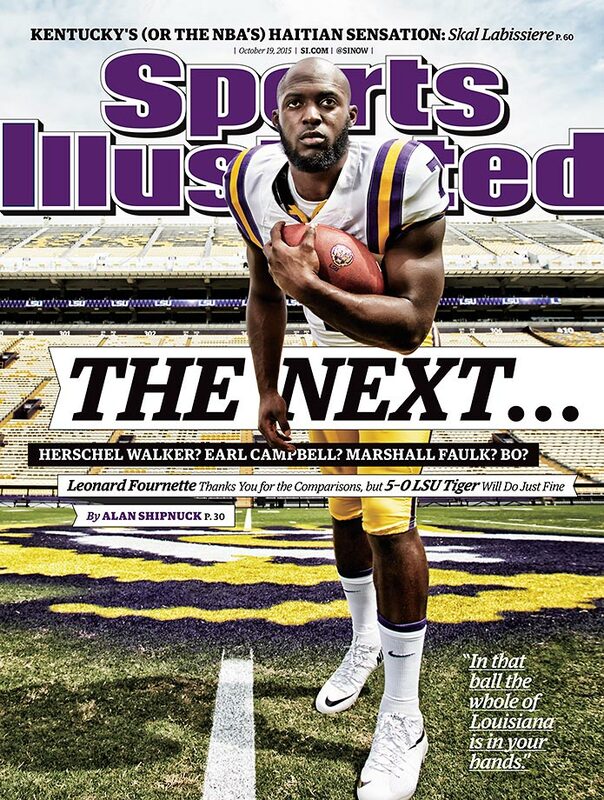 October 19, 2015 | This week’s cover of Sports Illustrated features LSU sophomore running back Leonard Fournette, who has led his Tigers to a 5–0 record and a No. 6 national ranking. 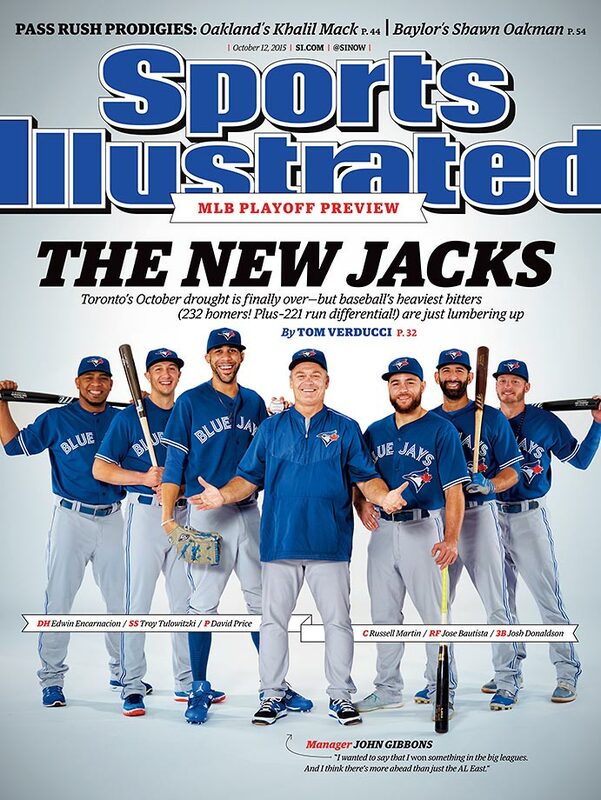 October 12, 2015 | The Toronto Blue Jays are playoff-bound for the first time since winning the 1993 World Series and this week's SI cover features designated hitter Edwin Encarnacion, shortstop Troy Tulowitzki, pitcher David Price, catcher Russell Martin, rightfielder Jose Bautista, third baseman Josh Donaldson and manager John Gibbons. 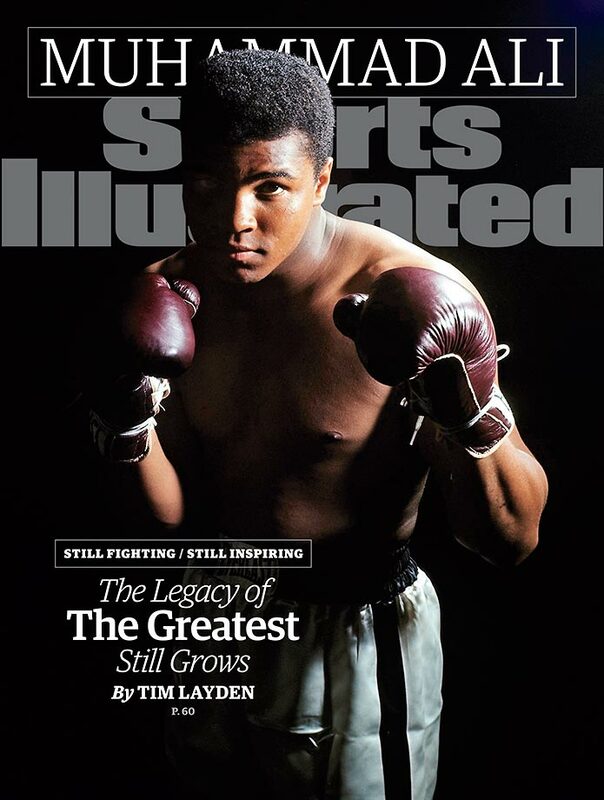 October 5, 2015 | Muhammad Ali is honored on the cover this week to celebrate the magazine’s Sportsman Legacy Award. The Legacy Award was created in 2008 to honor former athletes and sports figures who embody ideals of leadership, sportsmanship and philanthropy as vehicles for changing the world. The renaming of the award was announced earlier this week, and Ali will be recognized at a dedication ceremony at the Muhammad Ali Center in Louisville, Ky., on Thursday. That date, Oct. 1., also marks the 40th anniversary of Ali’s legendary “Thrilla in Manila” defeat of Joe Frazier. 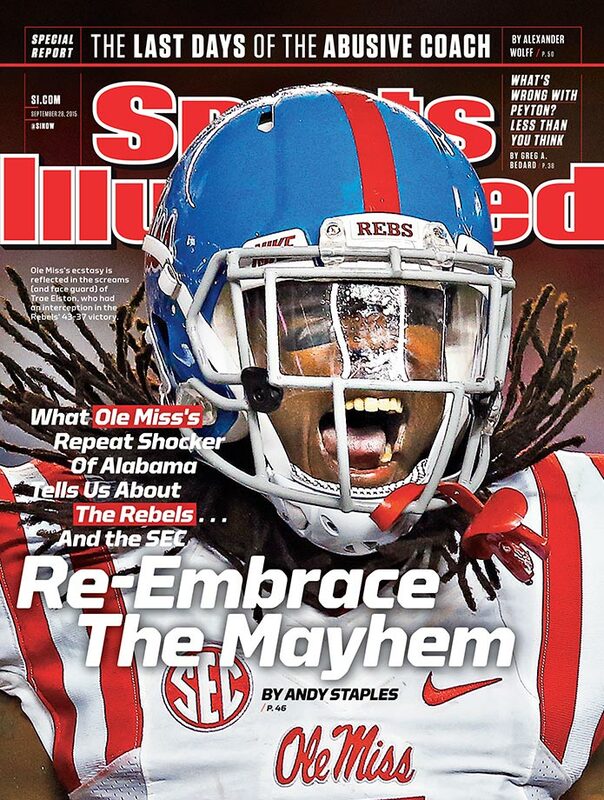 September 28, 2015 | After a 3–0 start to their season, the Ole Miss Rebels and defensive back Trae Elston are featured in a Sports Illustrated cover story by Andy Staples. In wins over UT Martin, Fresno State and Alabama, Elston, a senior, logged a team-leading three interceptions for 159 yards and two touchdowns with 12 total tackles. 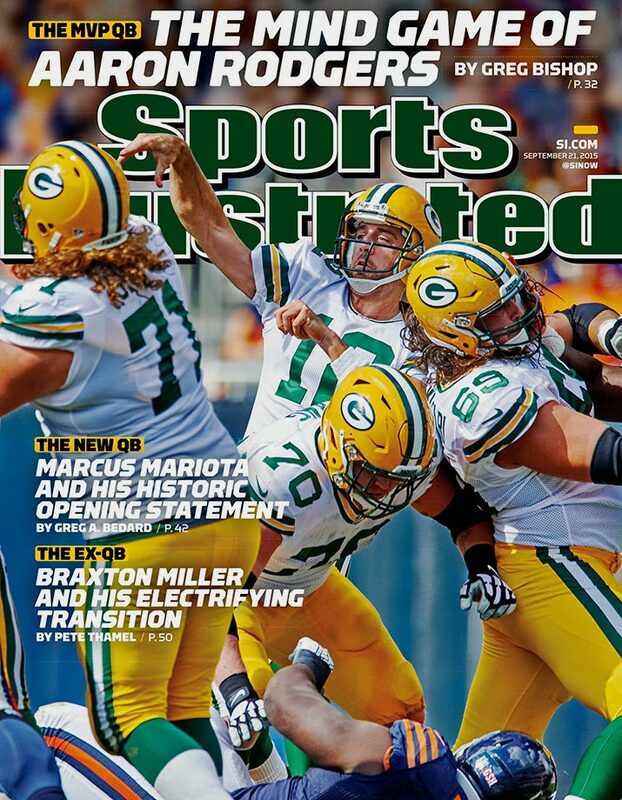 September 21, 2015 | As Green Bay Packers quarterback Aaron Rodgers prepares for a season without his top receiver, the reigning NFL MVP is featured on a regional cover. Rodgers completed 18 of 23 passes for 189 yards and three touchdowns in Sunday’s season opening win over the Chicago Bears. 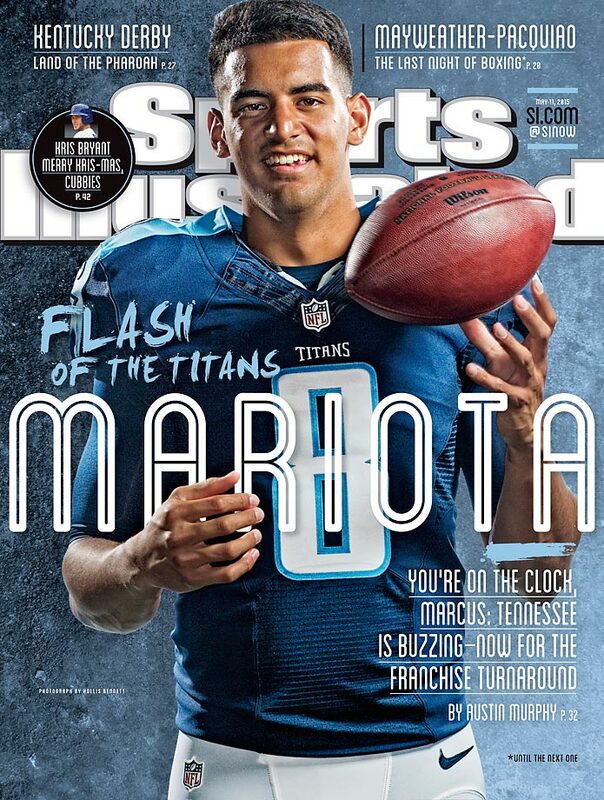 September 21, 2015 | Tennessee Titans quarterback Marcus Mariota is also featured on a regional cover. Mariota completed 13 of 16 passes for 209 yards and four touchdowns in his debut, recording a perfect 158.3 passer rating in the team's 42-14 victory over the Buccaneers on Sunday. 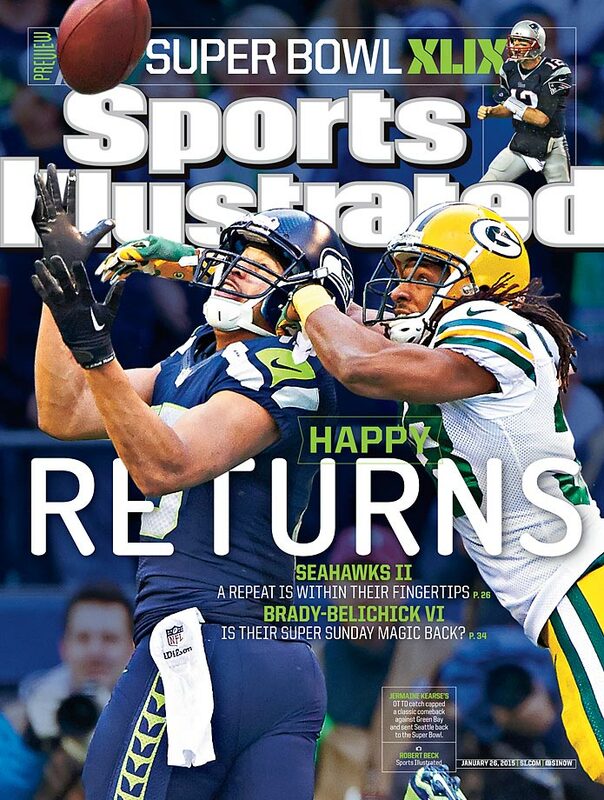 September 14, 2015 | The New England Patriots appear on this week's cover of Sports Illustrated, with S.L. 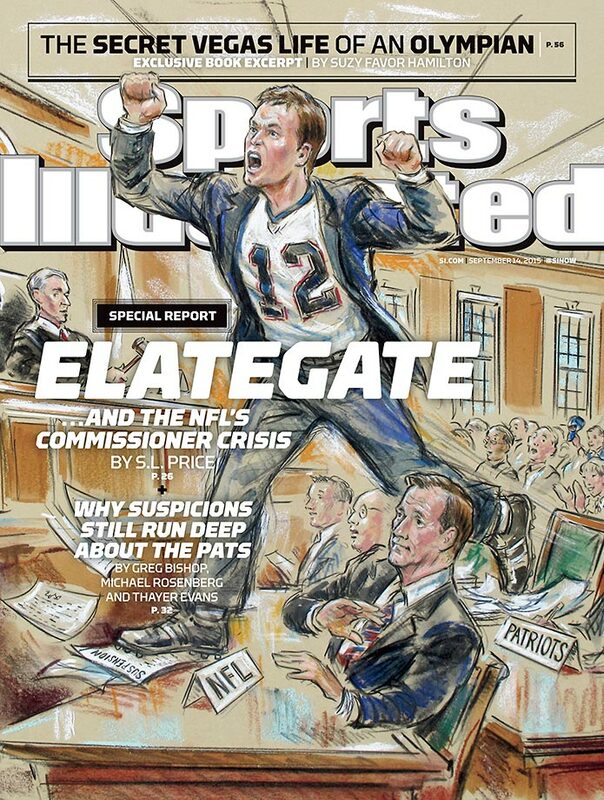 Price analyzing the Deflategate court ruling and three investigative reports writing about other teams' distrust of the Patriots. 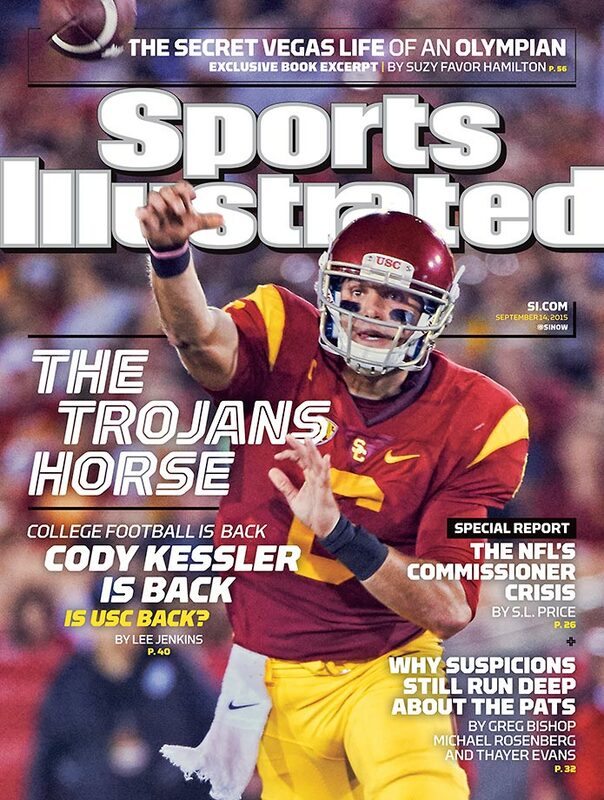 September 14, 2015 | Cody Kessler of USC is on a regional cover this week. 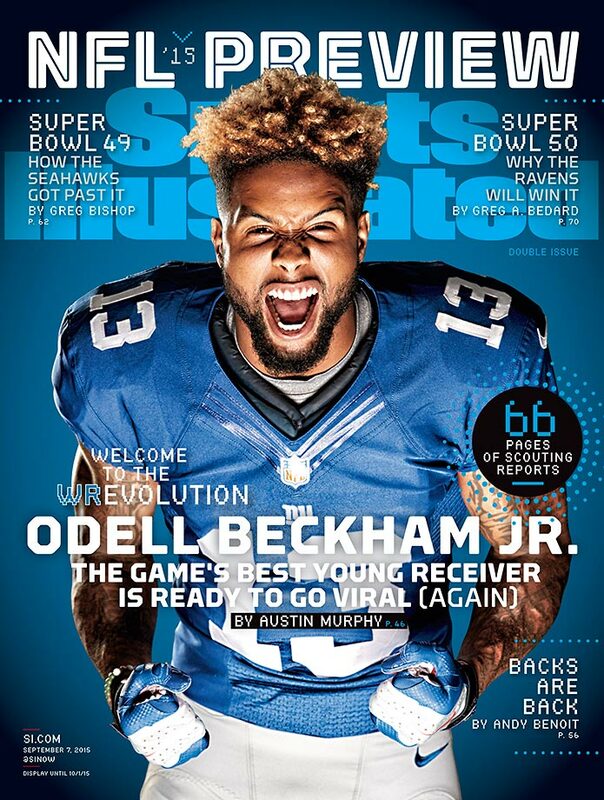 September 7, 2015 | New York Giants wide receiver Odell Beckham Jr. headlines a list of five players featured on regional covers of the NFL Preview issue. 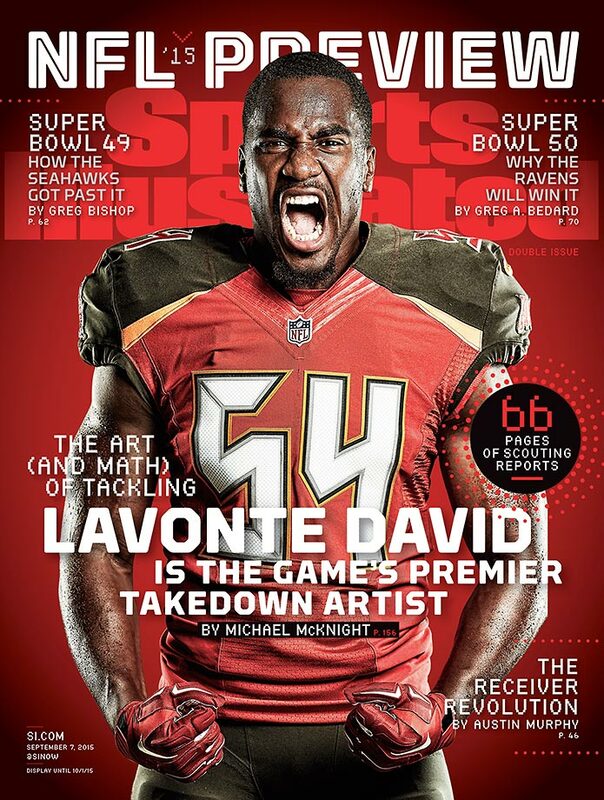 September 7, 2015 | Buccaneers linebacker Lavonte David headlines a list of five players featured on regional covers of the NFL Preview issue. 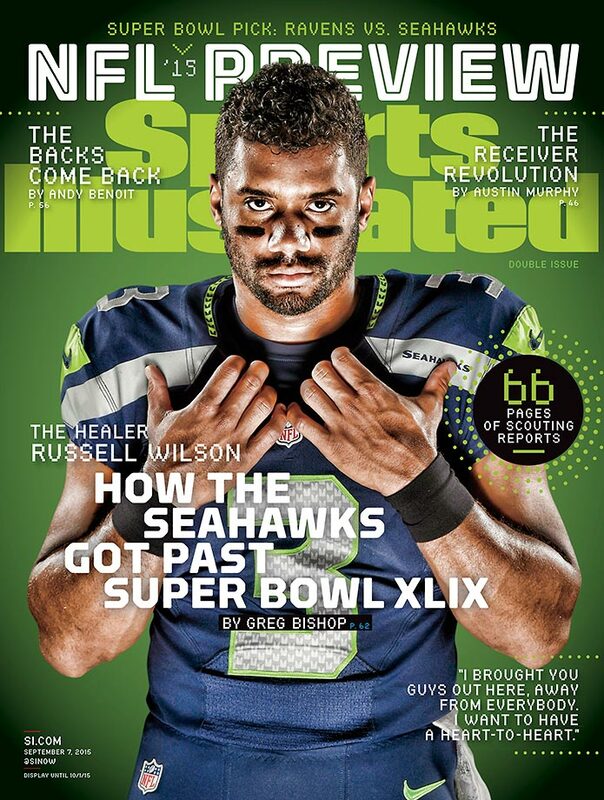 September 7, 2015 | Seattle quarterback Russell Wilson headlines a list of five players featured on regional covers of the NFL Preview issue. 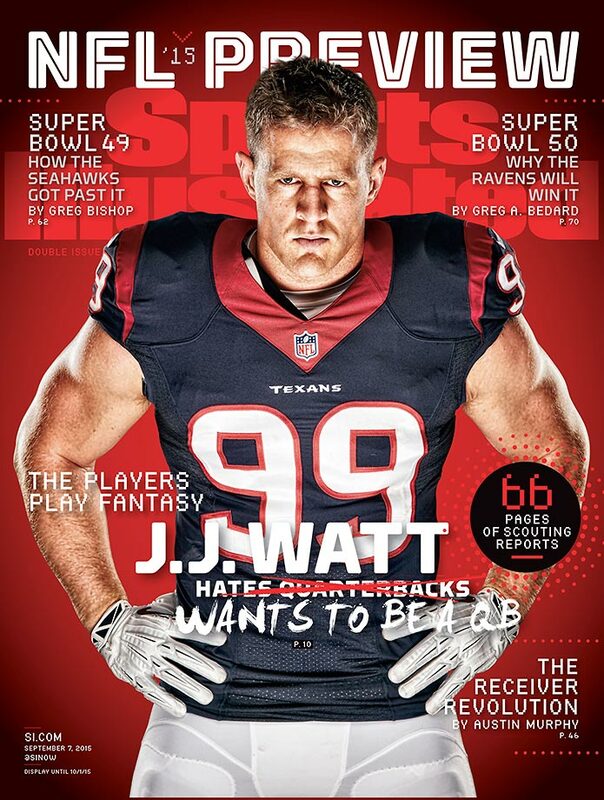 September 7, 2015 | Houston Texans defensive end J.J. Watt headlines a list of five players featured on regional covers of the NFL Preview issue. 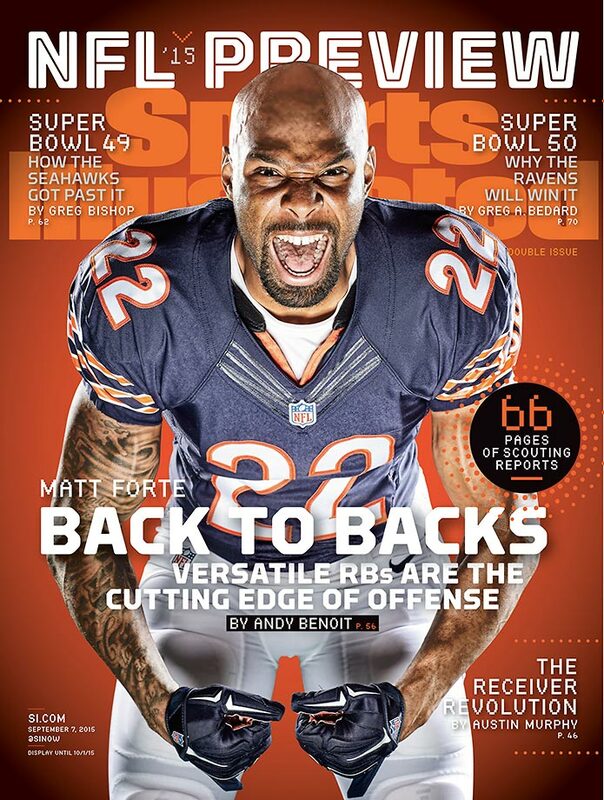 September 7, 2015 | Chicago Bears running back Matt Forte headlines a list of five players featured on regional covers of the NFL Preview issue. 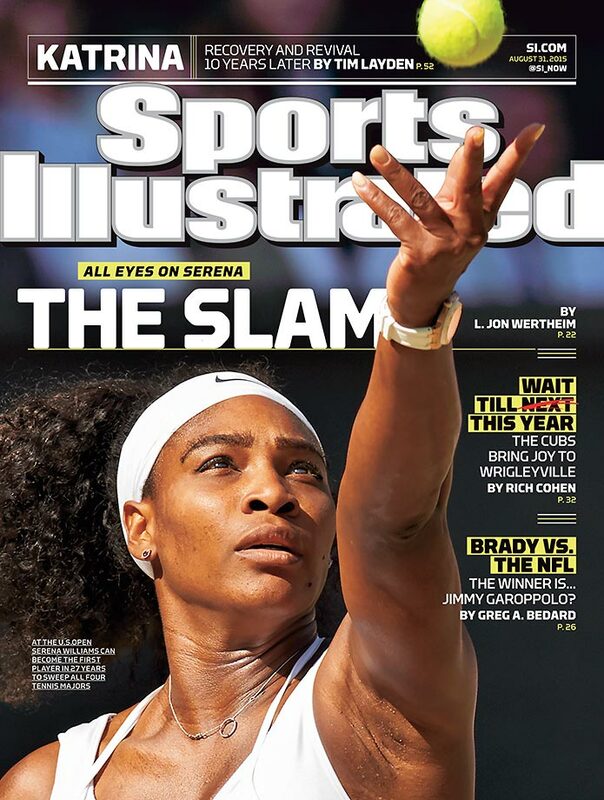 August 31, 2015 | Chasing history at the U.S. Open, Serena Williams is featured on this week's SI cover. 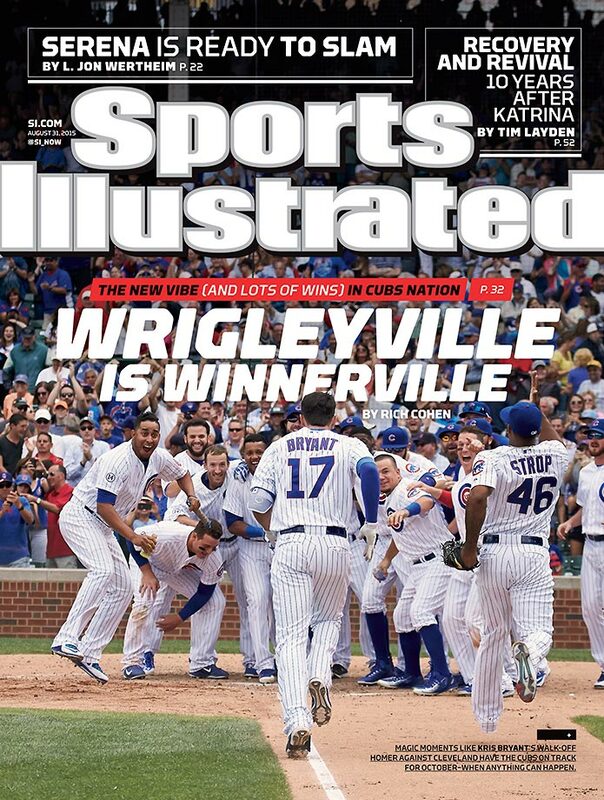 August 31, 2015 | Cubs' resurgence, Wrigley optimism featured on this week's regional SI cover. 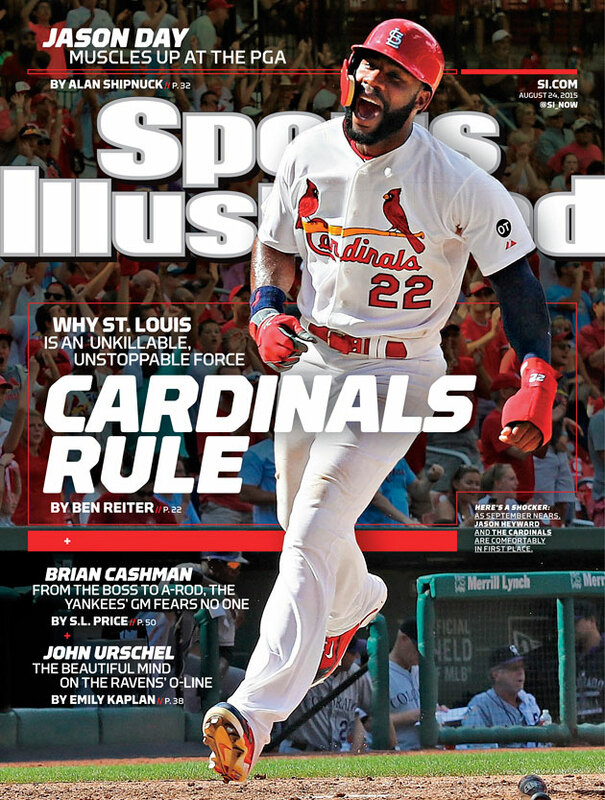 August 24, 2015 | Ben Reiter examines the greatness of the St. Louis Cardinals, who have overcome injuries to stars like Adam Wainwright on their way to Major League Baseball's best record. 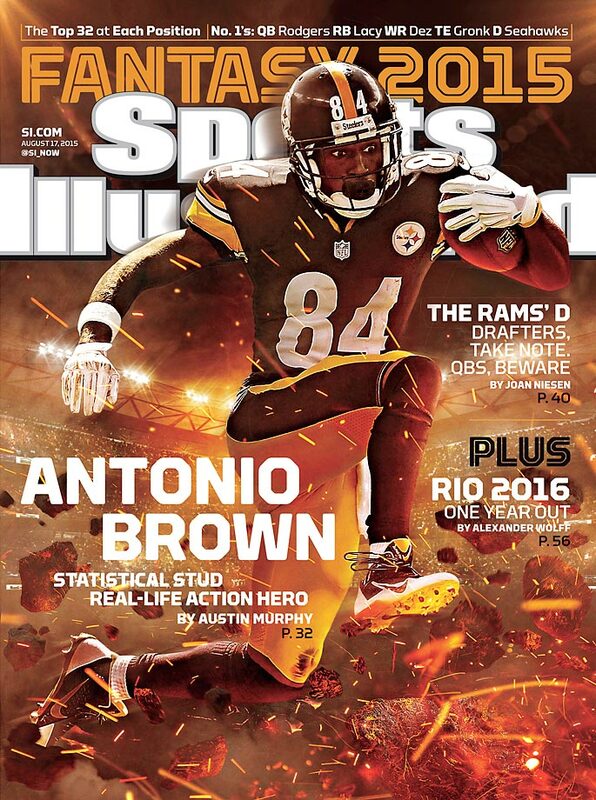 August 17, 2015 | Austin Murphy profiles Antonio Brown, the undersized and underexposed wideout who, over the last two years, has been perhaps the NFL’s most productive wide receiver. 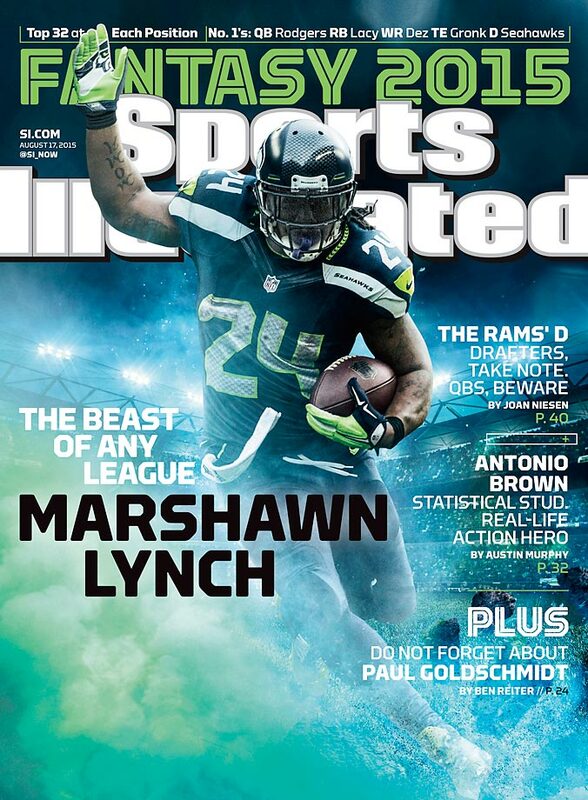 August 17, 2015 | Marshawn Lynch could be the safest pick of any other running back in fantasy football. 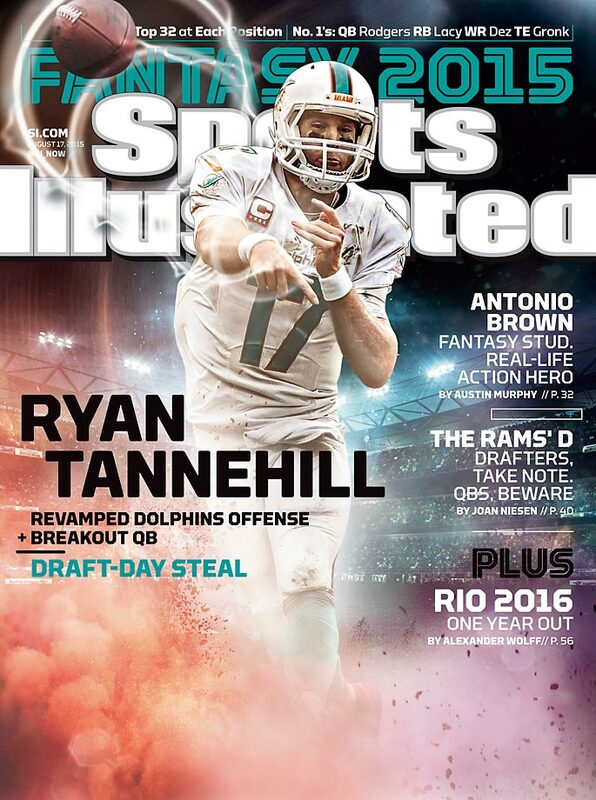 August 17, 2015 | Ryan Tannehill could be this year's fantasy quarterback breakout as he attempts to lead the Dolphins to the playoffs. 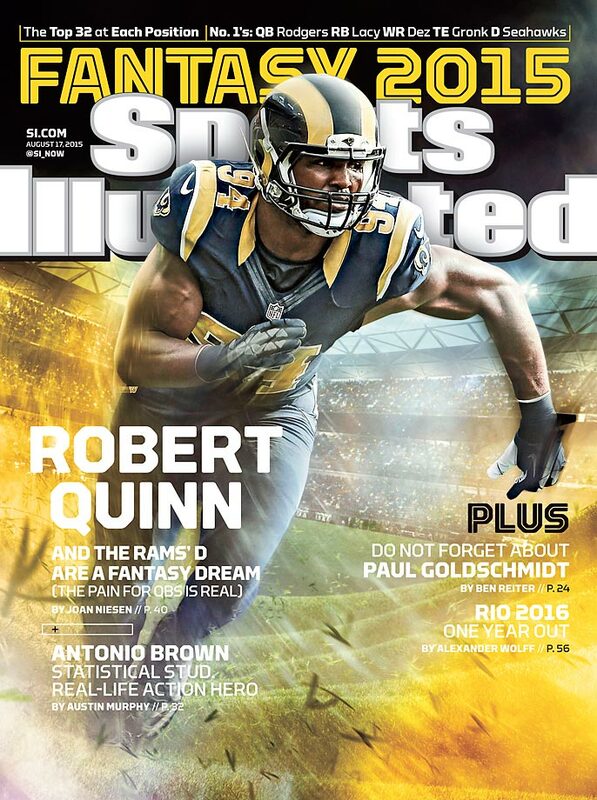 August 17, 2015 | Robert Quinn and the Rams defense are a fantasy owner's dream unit. 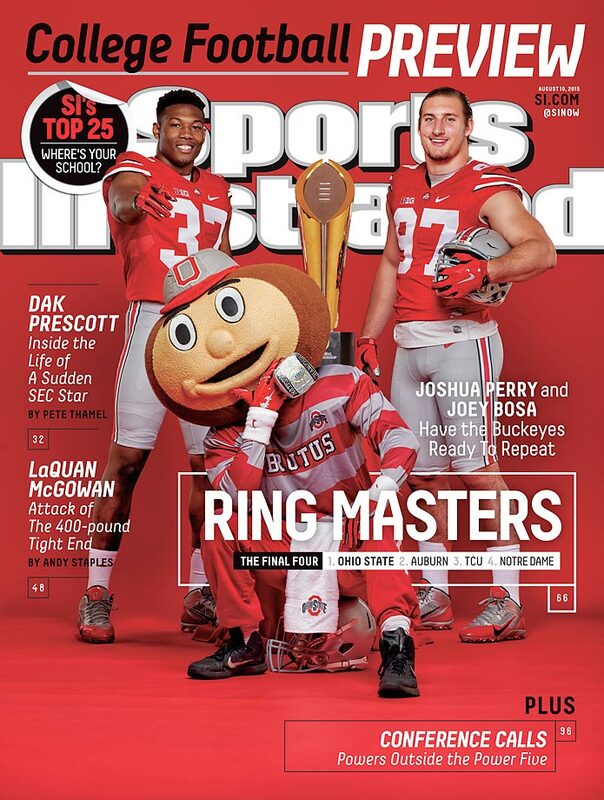 August 10, 2015 | Ohio State is looking to defend its national title this season, but the Buckeyes have no shortage of challengers. 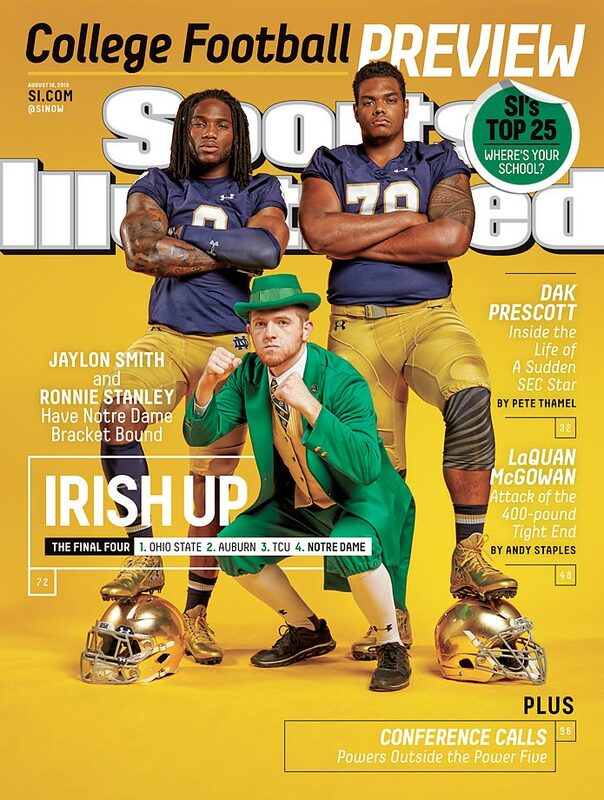 August 10, 2015 | Despite a new starting quarterback, Notre Dame looks like a contender entering the 2015 season. 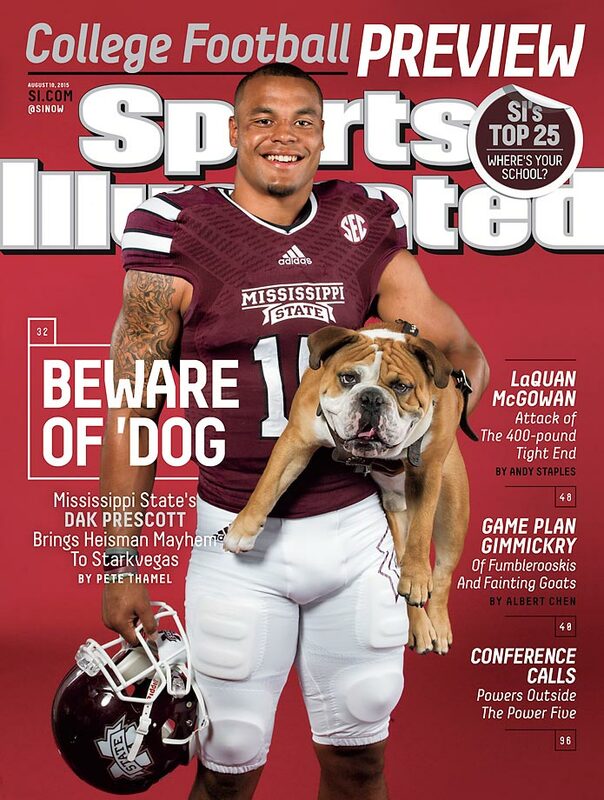 August 10, 2015 | Dak Prescott electrified Starkville last season as Mississippi State unexpectedly attained a No. 1 ranking, but the Bulldogs have the pressure of expectations this season. 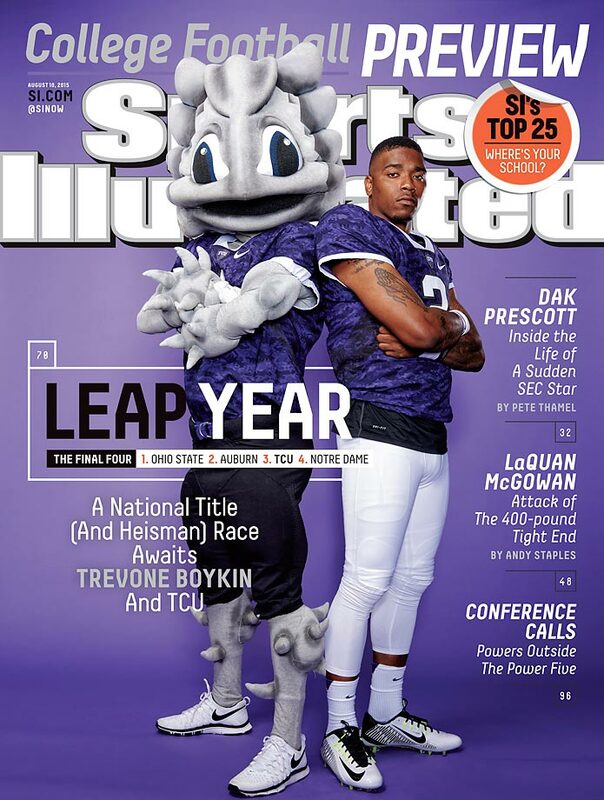 August 10, 2015 | TCU narrowly missed the College Football Playoff last season, but Heisman candidate Trevone Boykin and the Horned Frogs are primed for a title run this year. 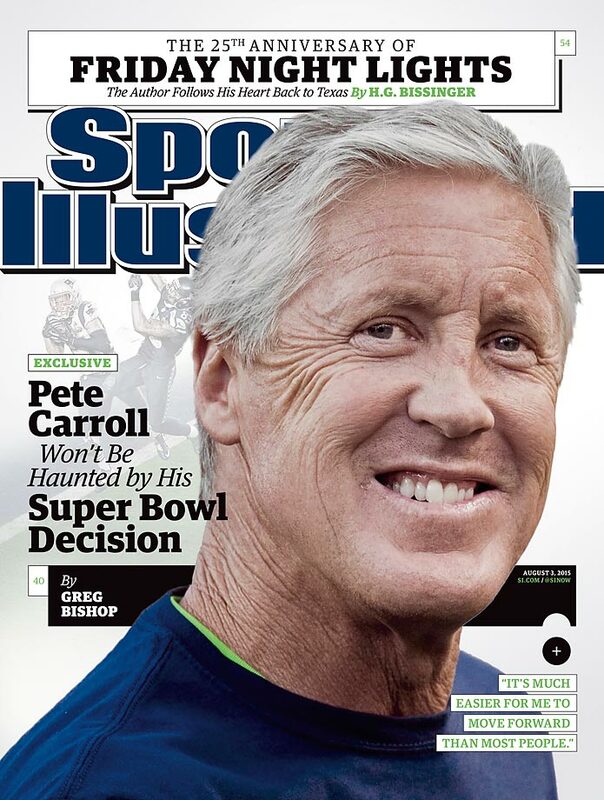 August 3, 2015 | Pete Carroll isn't shaken by his fateful decision to pass from the 1-yard-line at the end of Super Bowl XLIX. 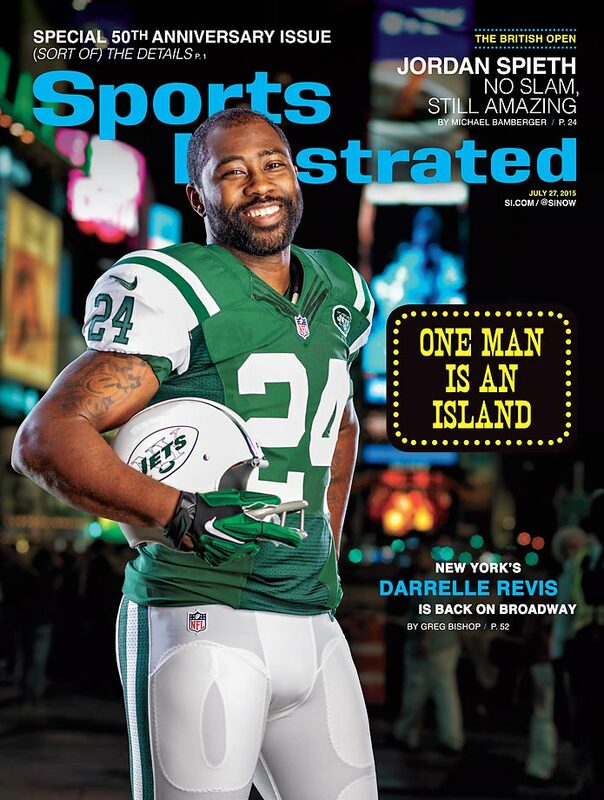 July 27, 2015 | New York's Darrelle Revis is back on Broadway, recreating the iconic Joe Namath SI cover. 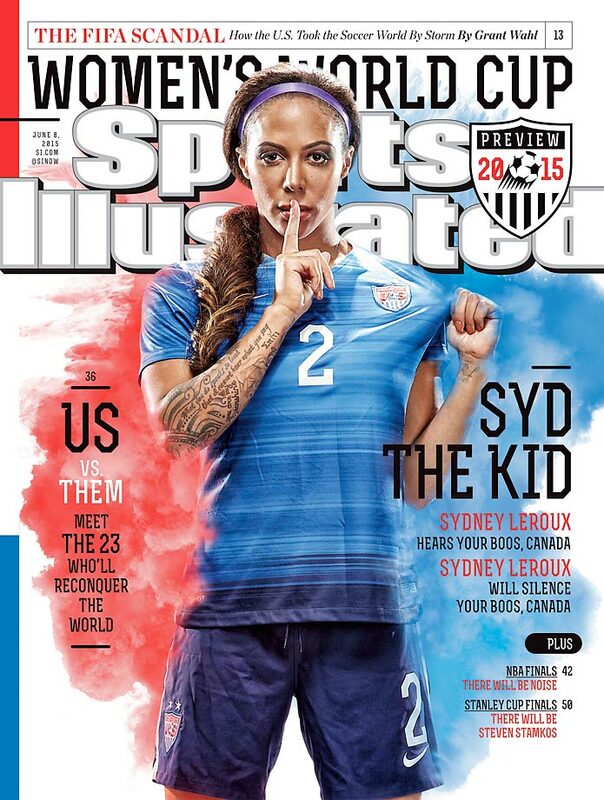 July 20, 2015 | Julie Johnston, Abby Wambach, Alex Morgan, Carli Lloyd, Hope Solo, Becky Sauerbrunn and Megan Rapinoe of the U.S. Women’s National Team appear on one of 25 different SI covers this week. 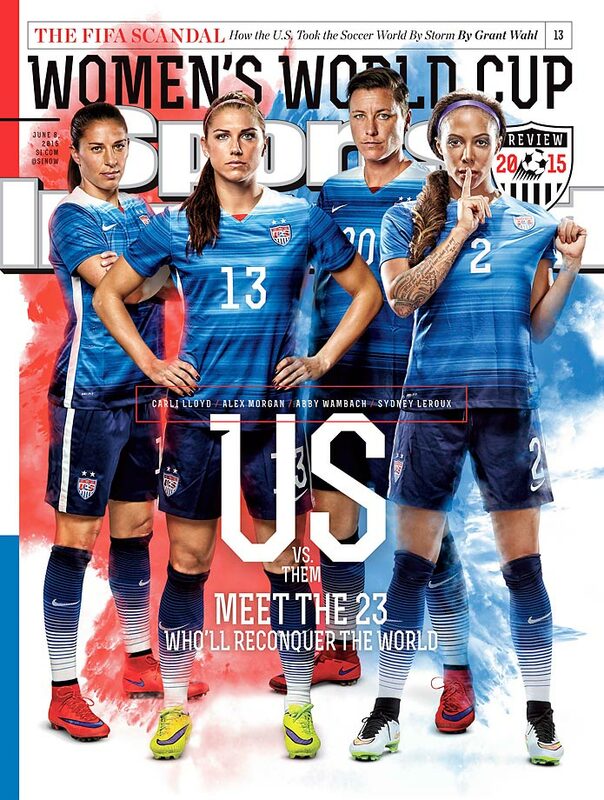 The other 24 covers honor each individual player and coach Jill Ellis. 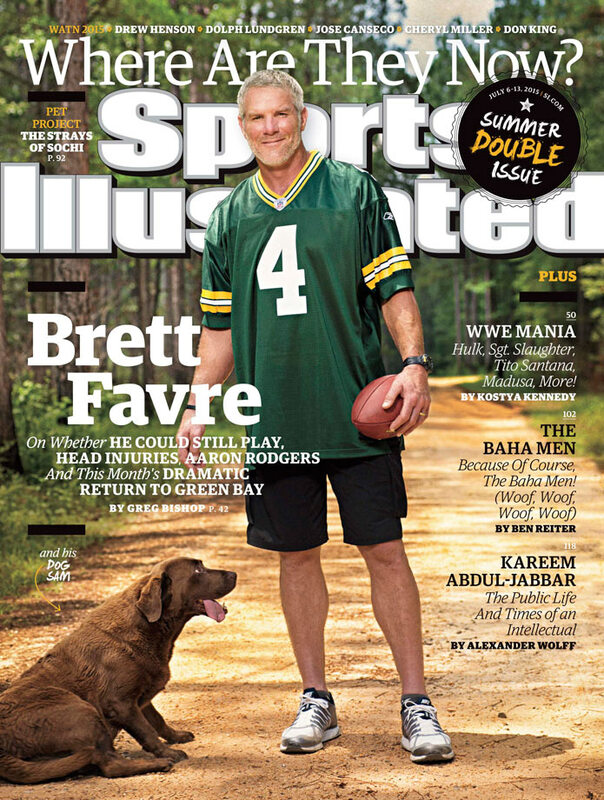 July 6-13, 2015 | Former Packers great Brett Favre finally is comfortable after retiring from the NFL for the final time five years ago. 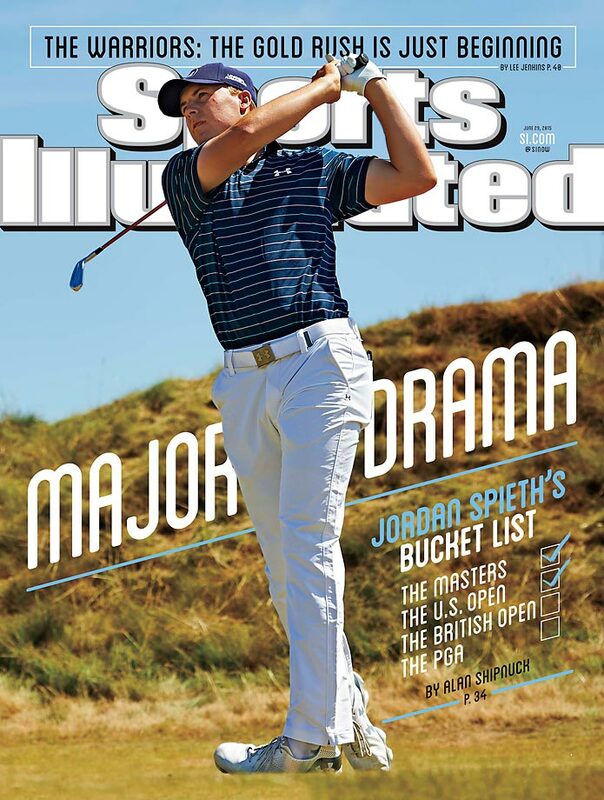 June 29, 2015 | Jordan Spieth’s dramatic one-shot U.S. Open victory at Chambers Bay has the 21-year old phenom just two major victories from winning golf’s Grand Slam. 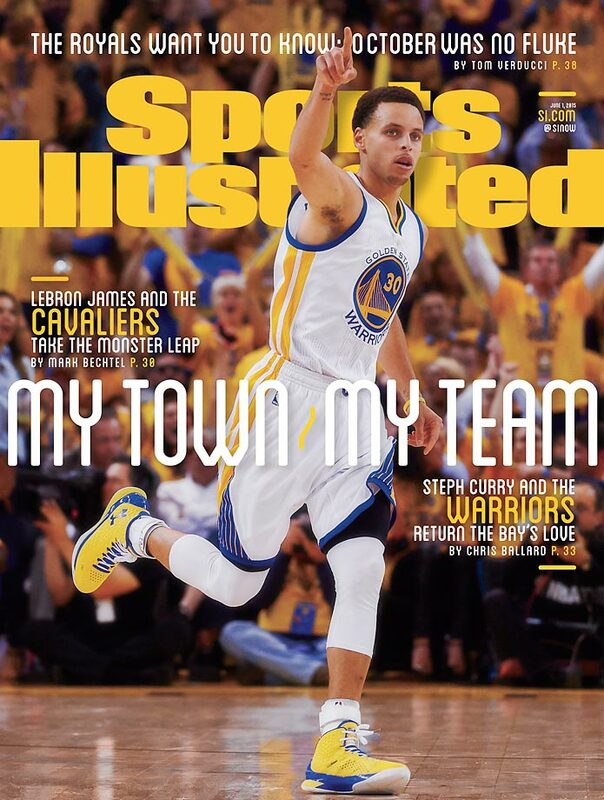 June 29, 2015 | Basketball’s best shooter, NBA MVP Stephen Curry, completed a dream season by helping bring home the Warriors first title in 40 years, but knows there is more work to do if they want to be known as a dynasty. June 22, 2015 | The Chicago Blackhawks capped off their third Stanley Cup title in six years with a victory over the Tampa Bay Lightning and are now hockey’s newest modern day dynasty. June 22, 2015 | The NBA Finals have completed turned around, thanks to the defensive and surprisingly, offensive contributions of Golden State Warriors guard Andre Iguodala. 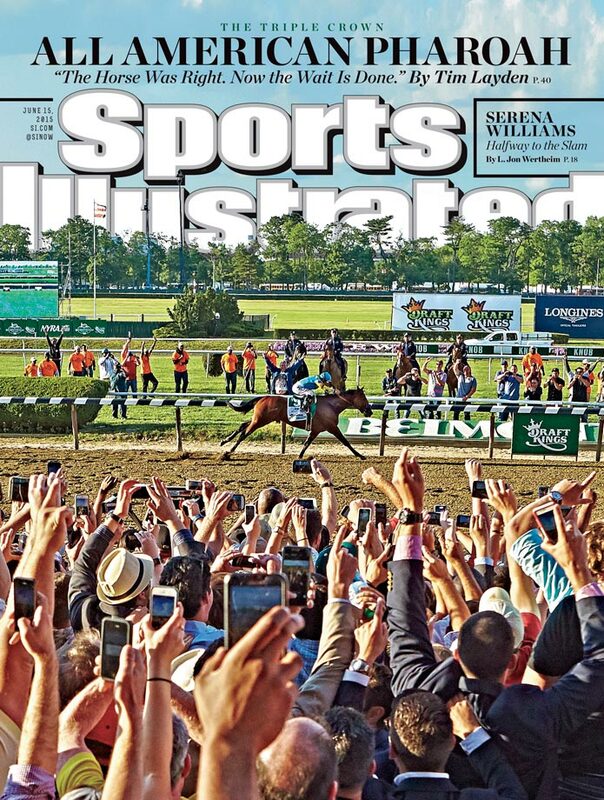 June 15, 2015 | American Pharoah ended a nearly four-decade Triple Crown drought by winning the 147th Belmont Stakes, and making it look easy. 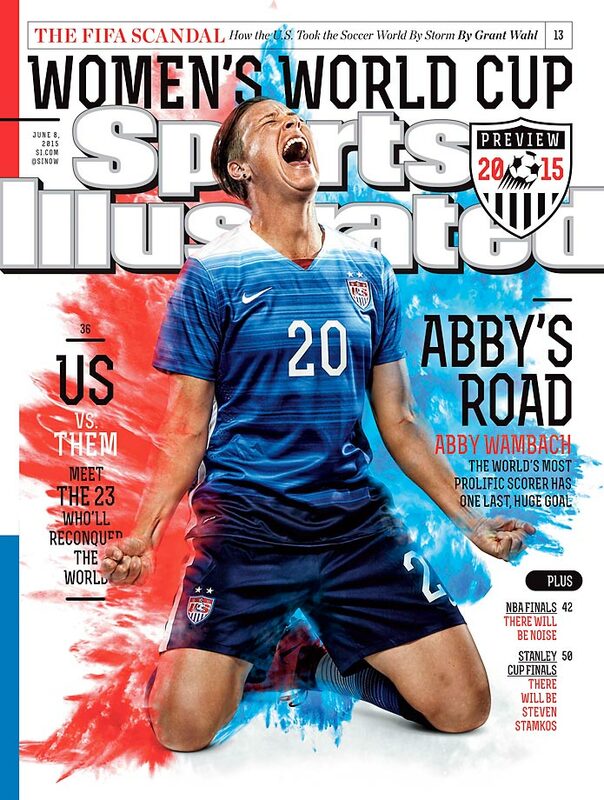 June 8, 2015 | The United States Women’s National Team is looking for redemption in this year’s World Cup after a heartbreaking shootout loss to Japan in the 2011 tournament. 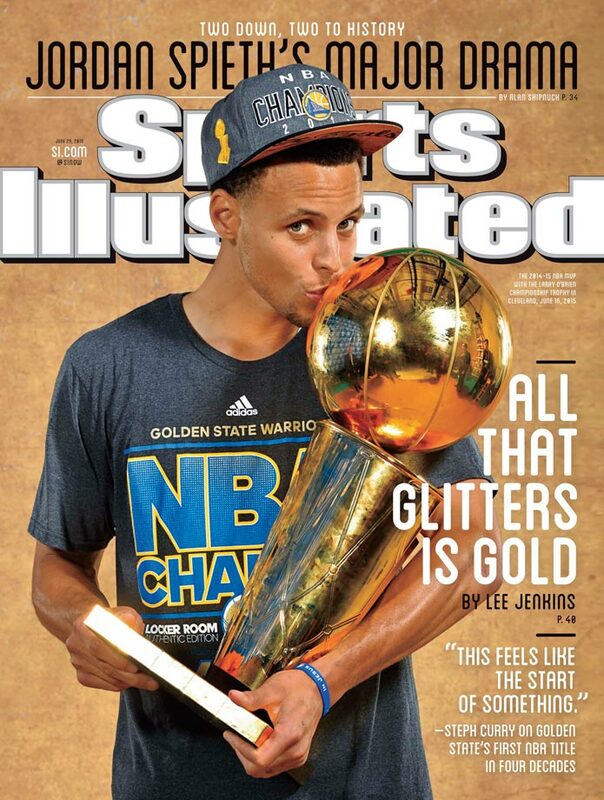 June 1, 2015 | NBA MVP Stephen Curry and the Warriors are rewarding fans with a brand of basketball that is packing the rafters at Oracle Arena, and bringing them closer to a championship. 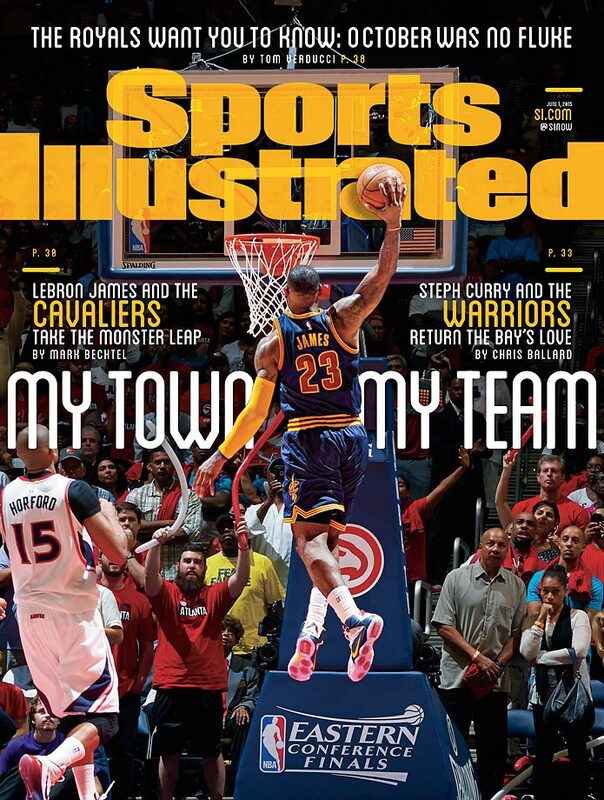 June 1, 2015 | Make no mistake, Cleveland is LeBron James’s town, the Cavaliers are his team and with it he carries the burden of a championship-starved city on his shoulders. 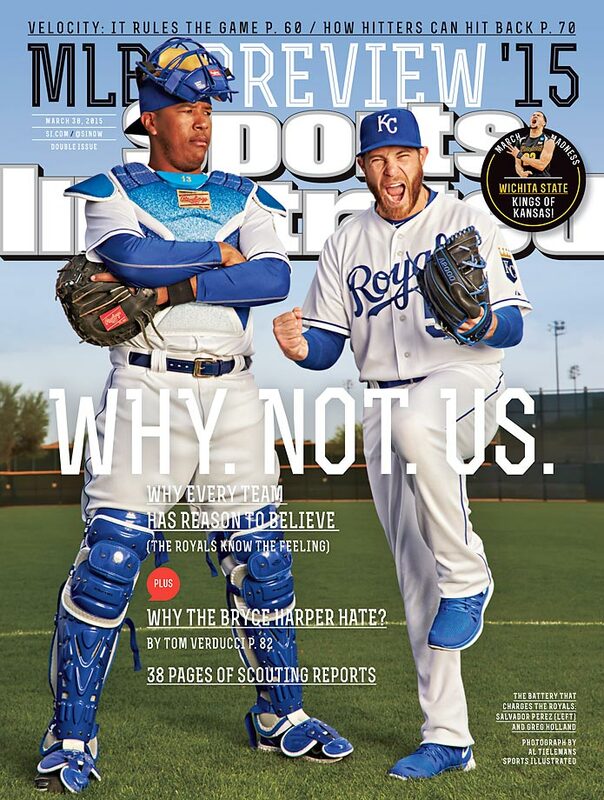 June 1, 2015 | The Kansas City Royals, led by first baseman Eric Hosmer, boasts baseball’s best record and a rough playing style that infuriates opponents, but pleases everyone else. May 25, 2015 | The Golden State Warriors, led by Most Valuable Player Stephen Curry, are heavy favorites to bring home their first NBA championship since 1976. May 18, 2015 | The UFC’s biggest star, women’s bantamweight champion Ronda Rousey, has crossed over into the mainstream, but still enjoys dominating her opponents in record time. 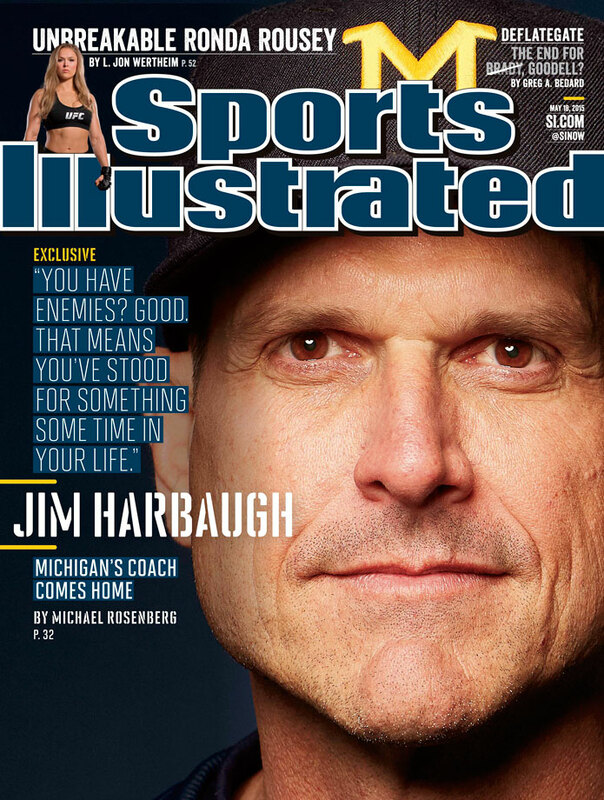 May 18, 2015 | College football’s winningest program ever hopes an infusion of enthusiasm and a winning pedigree from alum and new coach Jim Harbaugh are just what its needs to become a dominate program again. 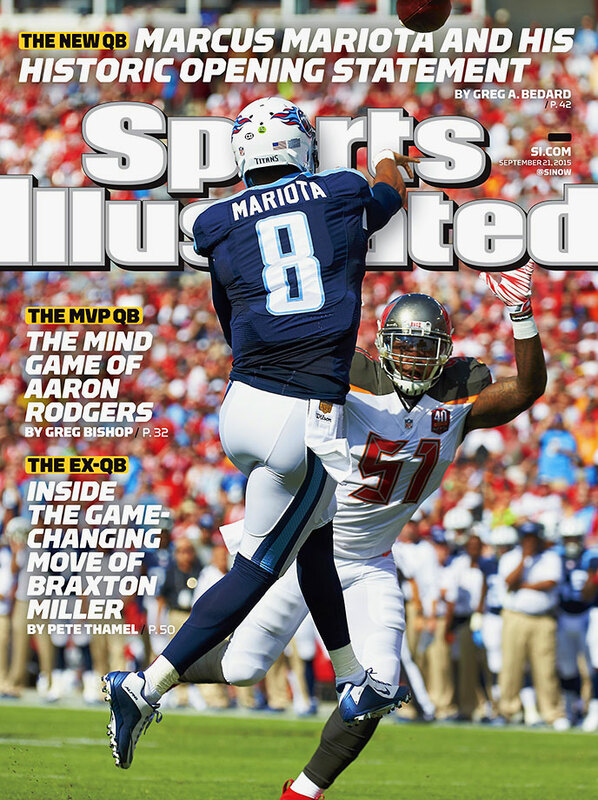 May 11, 2015 | The NFL’s draft second overall pick, Marcus Mariota, hopes to lead a revival of fortunes for the Tennessee Titans, who haven’t been to the playoffs since 2008. 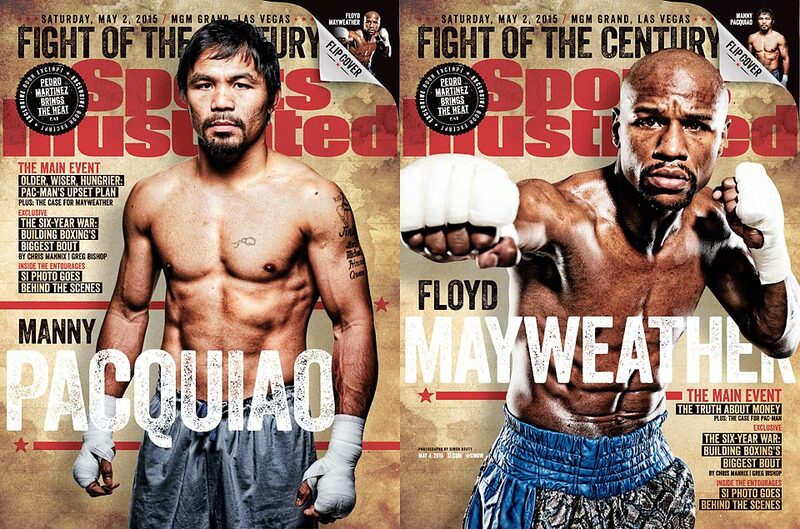 May 4, 2015 | Saturday’s Floyd Mayweather-Manny Pacquiao welterweight unification beat is expected to be the richest in boxing history and will finally settle who is the best pound-for-pound fighter in the world. 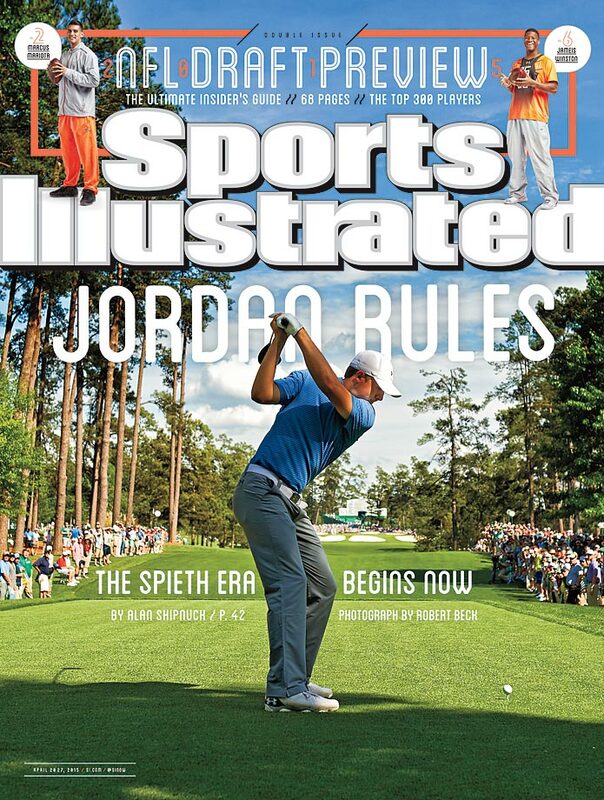 April 20-27, 2015 | Jordan Spieth evoked memories of Tiger Woods’ first Masters championship, after a sublime 18-under, four-shot victory at Augusta. 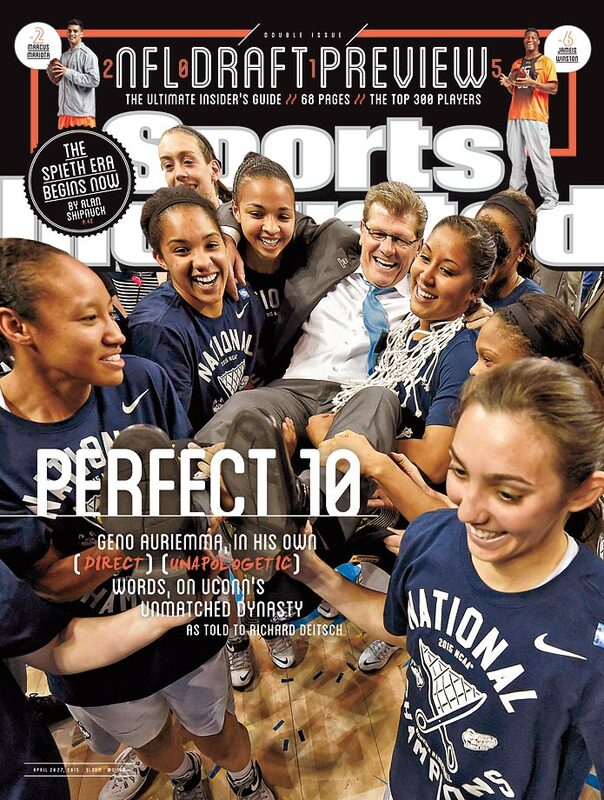 April 20-27, 2015 | Connecticut again rolled through their competition this season, capped off with a 10th National Championship under coach Geno Auriemma. 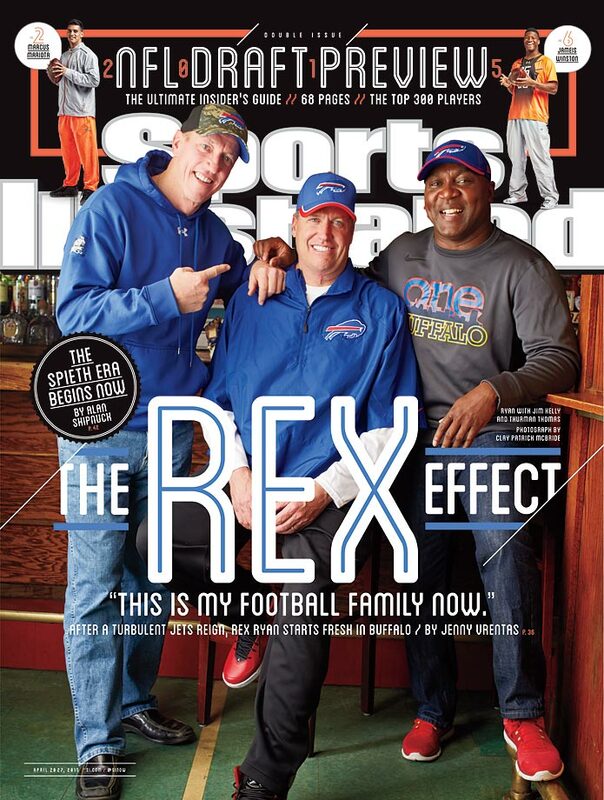 April 20-27, 2015 | The Bills have not been to the playoffs in 15 years, but fans along Rex Ryan, and Pro Football Hall of Famers Jim Kelly and Thurman Thomas are excited for the future. 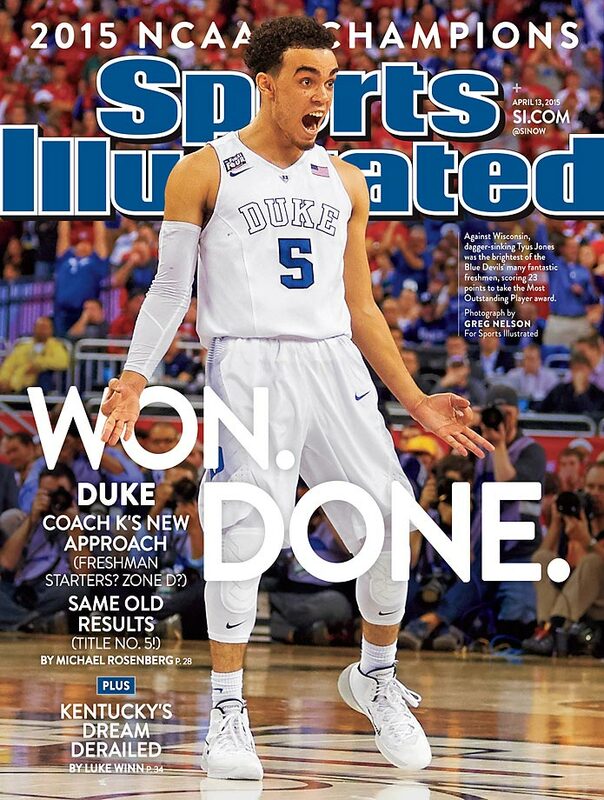 April 13, 2015 | Duke's freshman, led by guard Tyus Jones, played like veterans in leading the Blue Devils to their fifth national championship with a victory over Wisconsin. 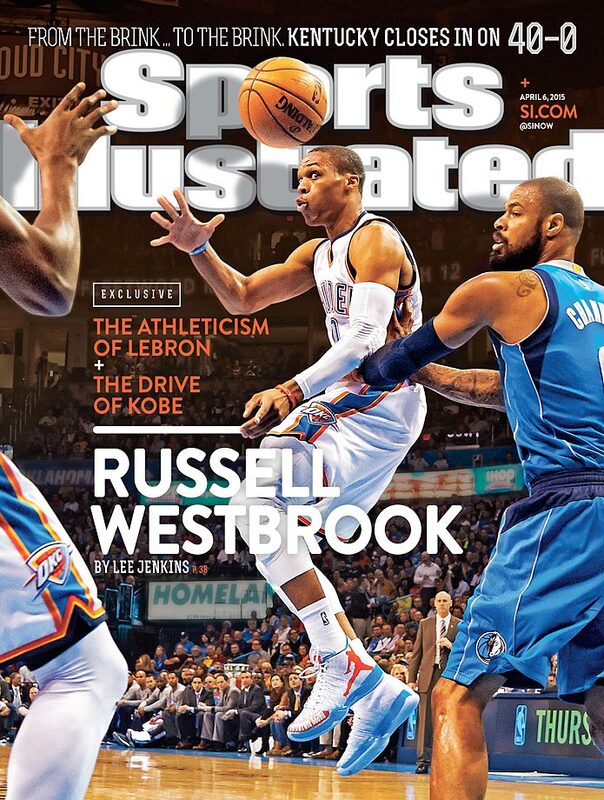 April 6, 2015 | Russell Westbrook, Oklahoma City’s dynamic guard, is putting up video game-type numbers this season, as the Thunder push toward a playoff berth without injured starters Kevin Durant and Serge Ibaka. 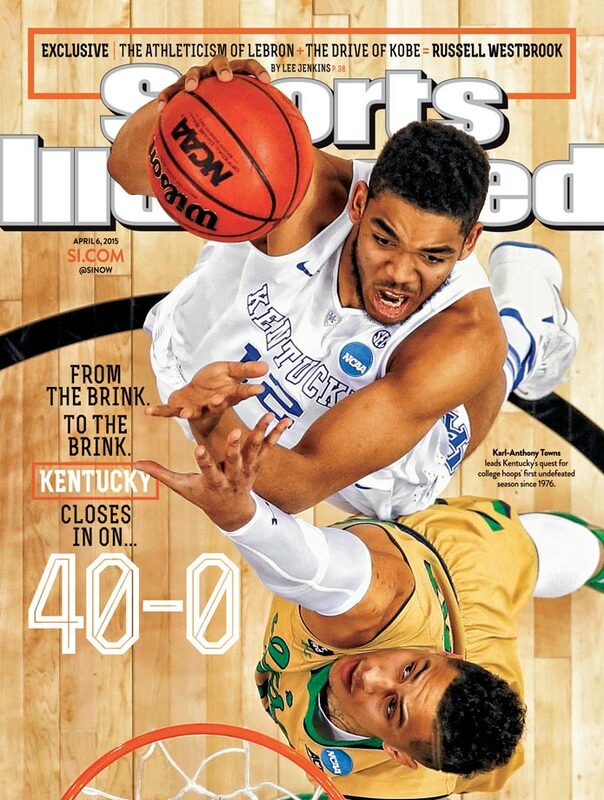 April 6, 2015 | So far this season, Kentucky has dispatched all of their opponents, going into the Final Four just two wins away from a historic 40-0 season. 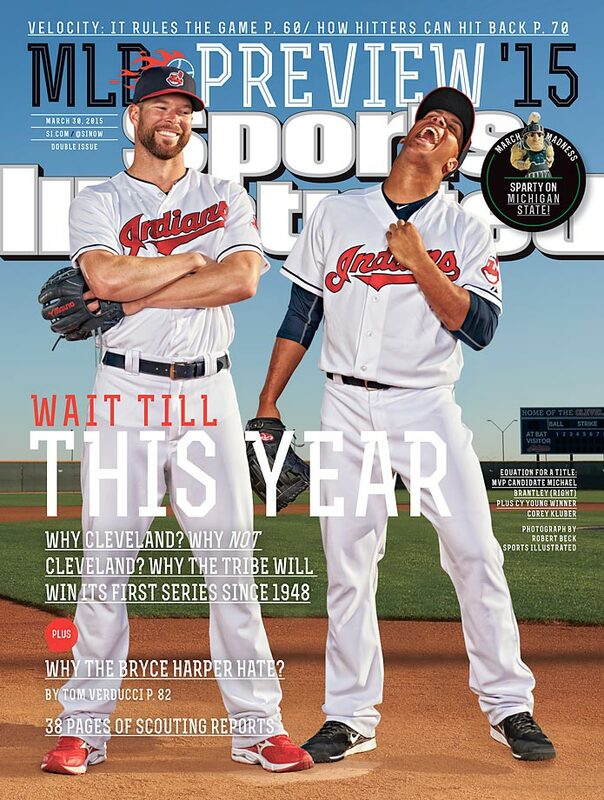 March 30, 2015 | The Indians haven’t won the World Series since 1948, but behind Cy Young winner and MVP candidate Michael Brantley, the Tribe could be hoisting the championship trophy. 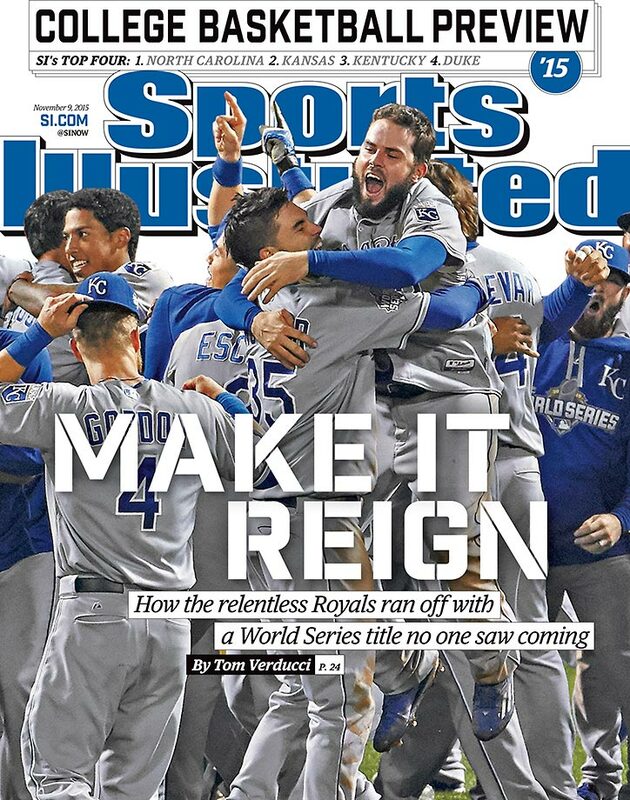 March 30, 2015 | The Kansas City Royals are looking for redemption after last season’s seven-game World Series defeat to the San Francisco Giants. 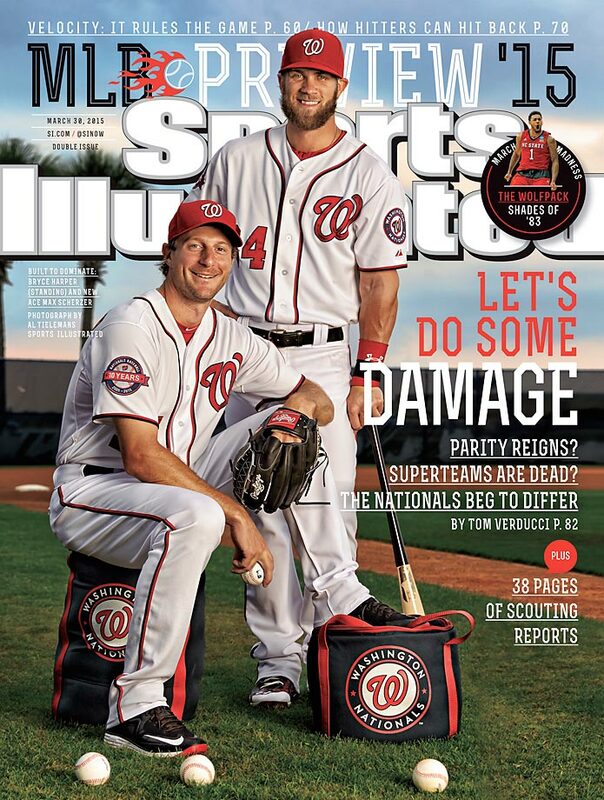 March 30, 2015 | Power is the name of the game in Washington, behind a loaded pitching staff and slugger Bryce Harper, the NL East champs are primed again to make a run in October. 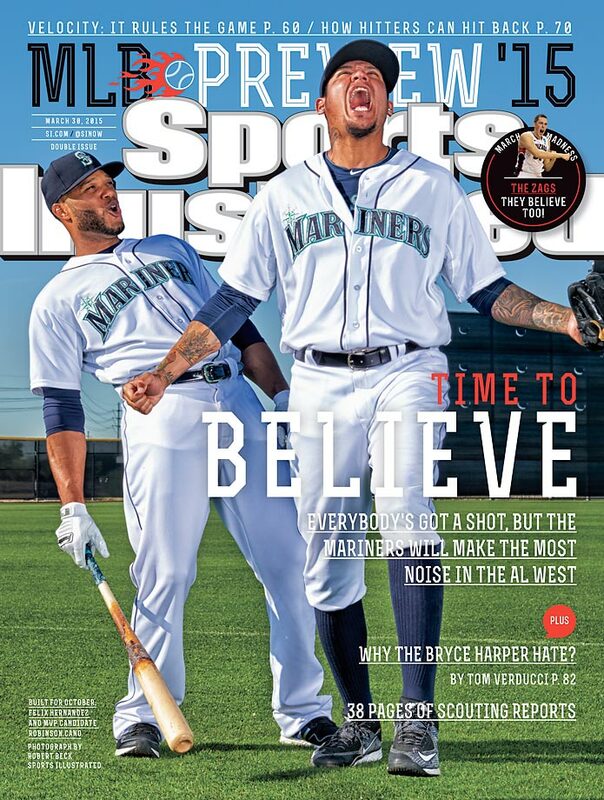 March 30, 2015 | The Seattle Mariners, longtime bottom-feeders in the AL West, will rely on youth and ace Felix Hernandez to get over the hump and back into the playoffs. 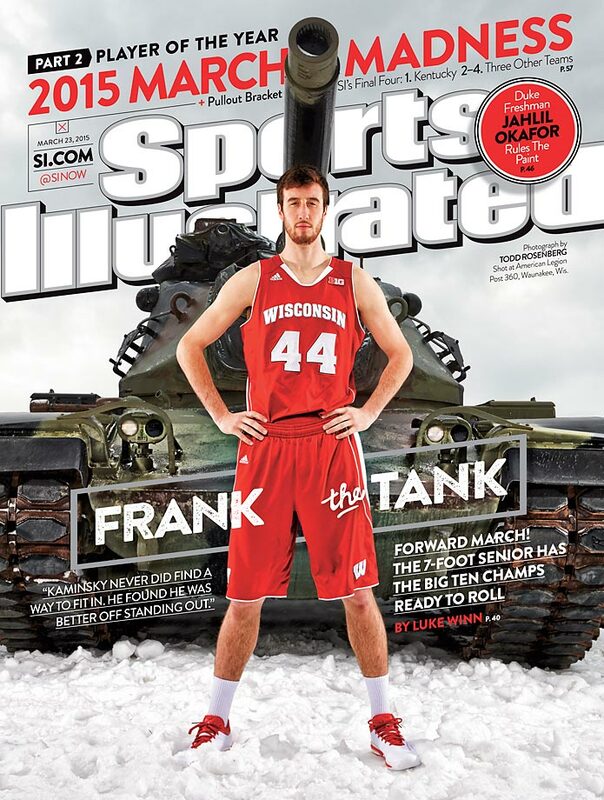 March 23, 2015 | Wisconsin’s do-it-all forward, senior Frank Kaminsky, is Sports lllustrated’s Player of the Year, after leading the Badgers to a 31-3 record and the Big Ten’s regular season and tournament titles. 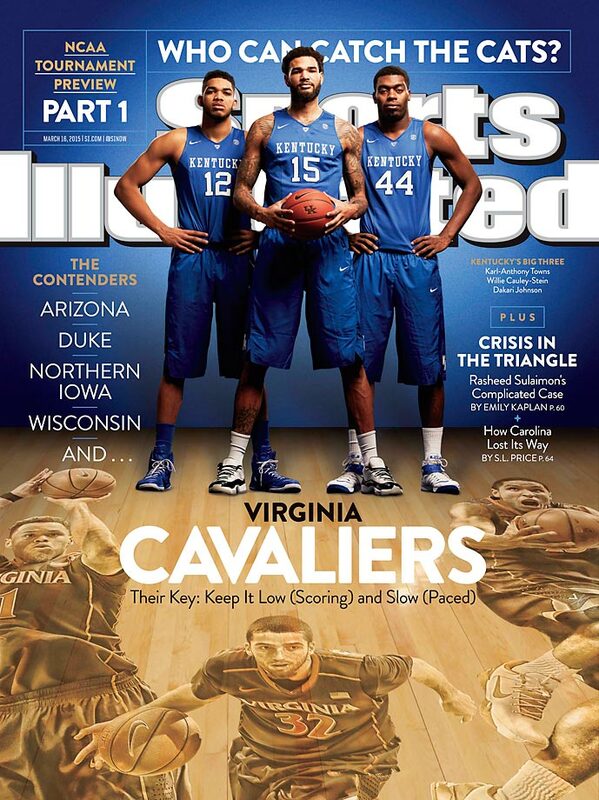 March 16, 2015 | The regular season ACC champions have the tools, leadership and the defensive prowess to give any team, including Kentucky, fits. 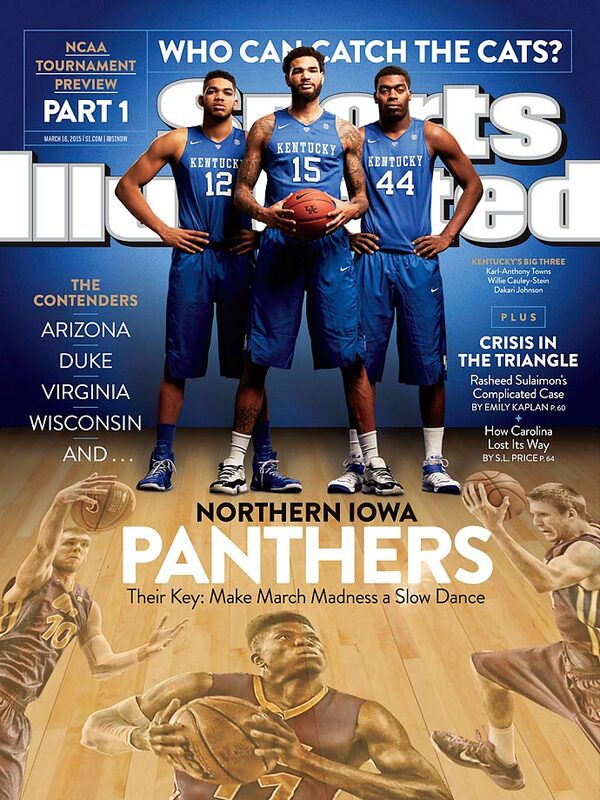 March 16, 2015 | Northern Iowa, led by MVC Player of the Year Seth Tuttle, are making their first NCAA tourney appearance in five years and have never advanced past the Sweet 16. 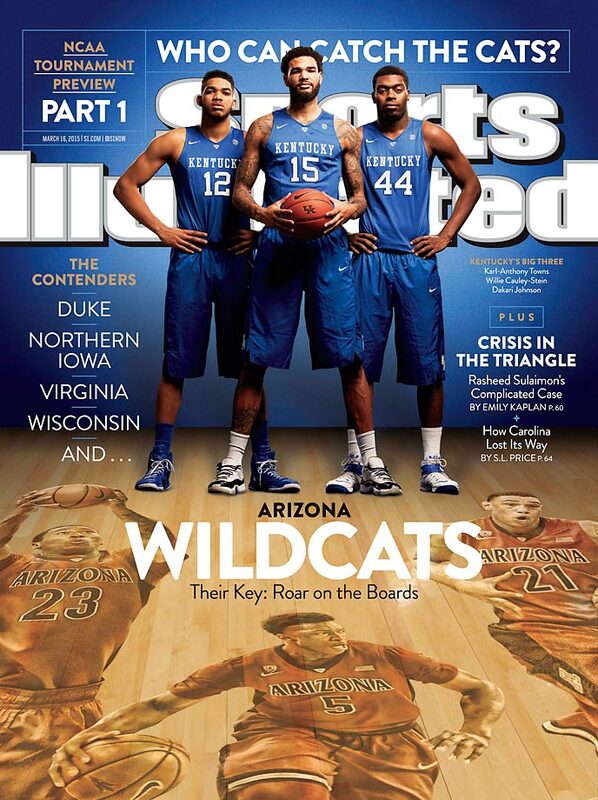 March 16, 2015 | The Wildcats haven’t been to the Final Four since 2001, but boasts a frontcourt and defense that has given Pac-12 teams trouble this season. 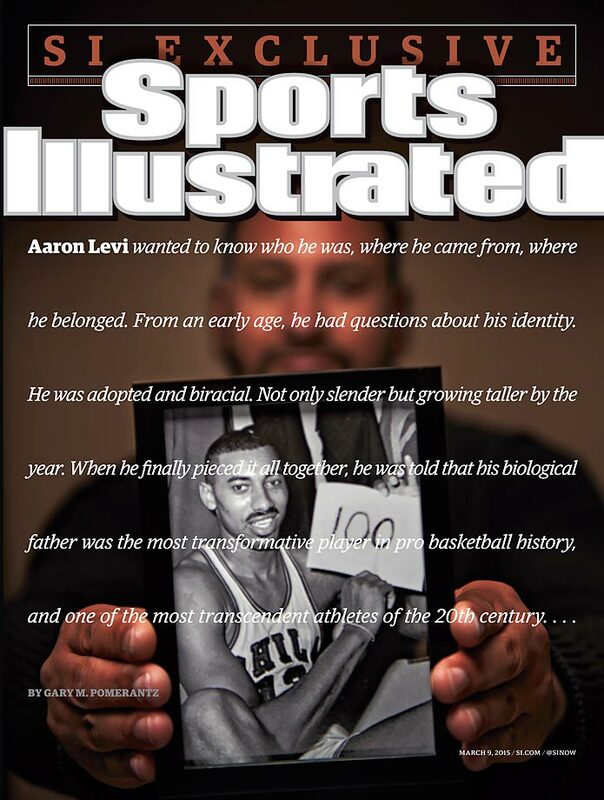 March 9, 2015 | Did Basketball Hall of Famer Wilt Chamberlain have any children? That’s the question one San Francisco man is trying to answer as he has gone on a decade long search to prove that he is Chamberlain’s son. 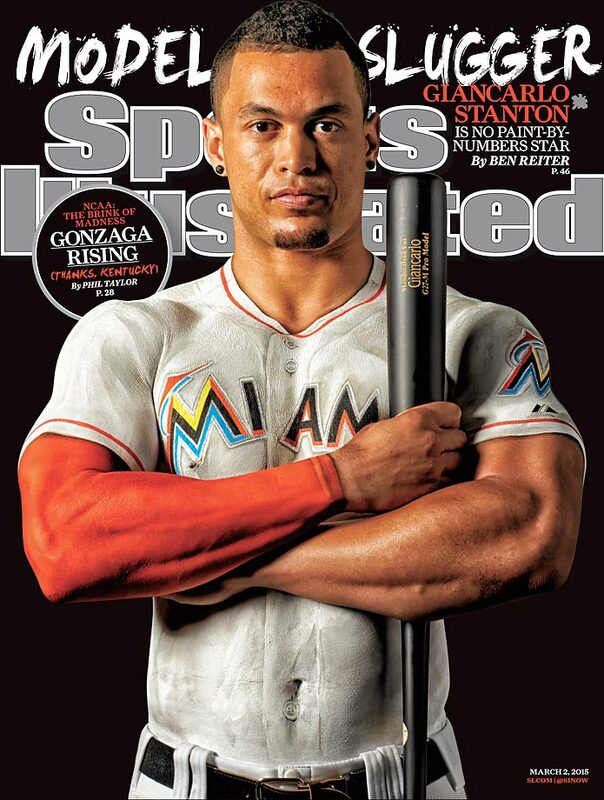 March 2, 2015 | With a record $325 million contract, Marlins slugger Giancarlo Stanton is out to prove that Miami can be a contender in the loaded National League. 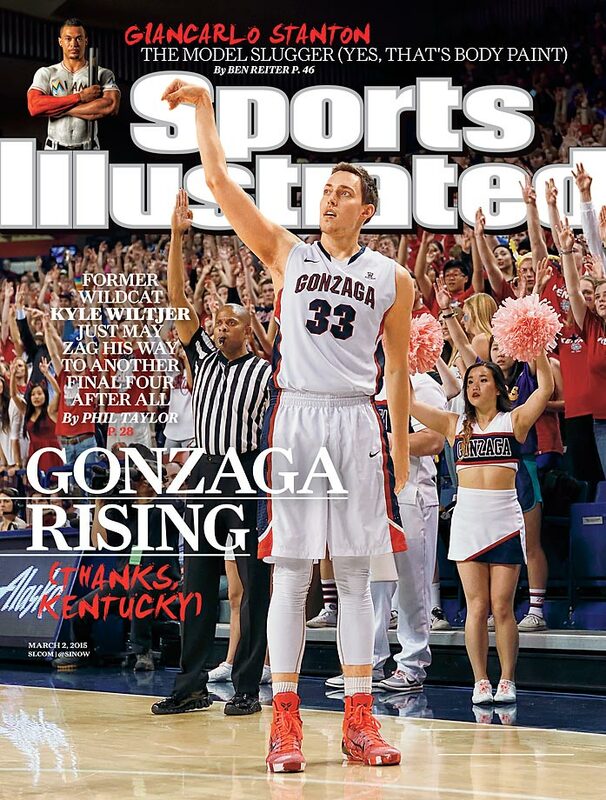 March 2, 2015 | Kentucky transfer Kyle Wiltjer is now starring for third-ranked Gonzaga with an improved game and reliable teammates, the Bulldogs still seek that elusive first Final Four berth. 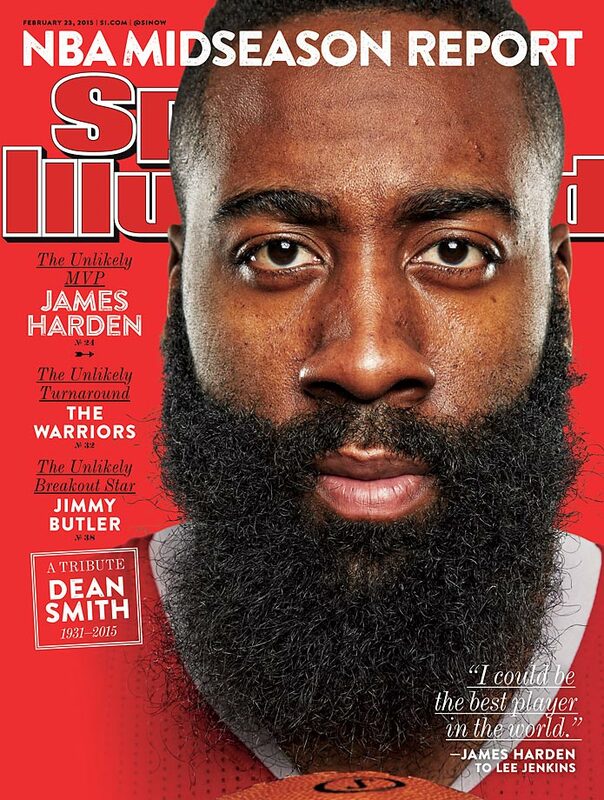 February 23, 2015 | Houston Rockets star guard James Harden wasn’t sure he was one of the league’s best players. Now, NBA defenses have tried and mostly failed to stop the league’s leading scorer. Winter, 2015 | The SI Swimsuit 2015 cover, starring one Hannah Davis, is here! The cover shot, taken by Ben Watts at Tennessee's idyllic Blackberry Farm, marks Hannah's third (and, we tend to think, best) appearance in the issue and was revealed Wednesday night on The Tonight Show Starring Jimmy Fallon. February 9-16, 2015 | The New England Patriots have cemented their legacy as one of the NFL’s best dynasties ever with a fourth championship, a thrilling Super Bowl XLIX victory over the Seattle Seahawks. 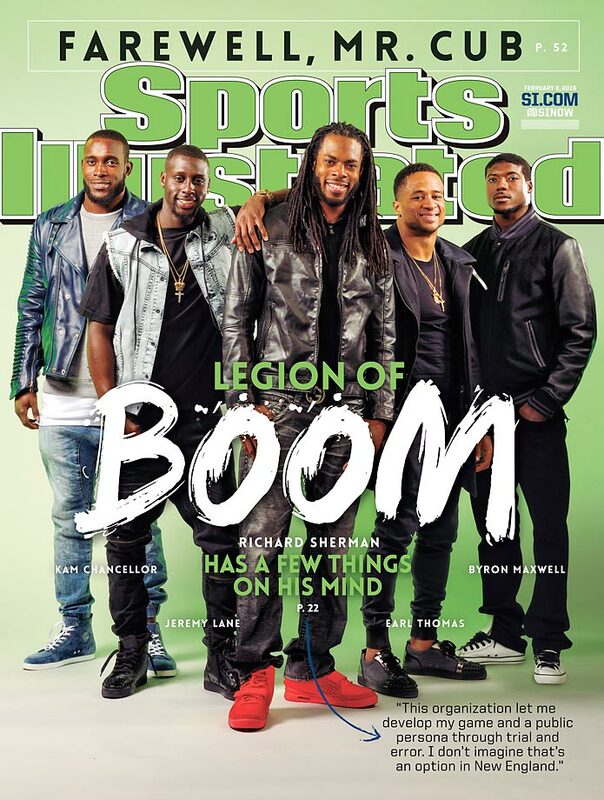 February 2, 2015 | Richard Sherman and 'Legion of Boom' appear on the cover of SI this week. 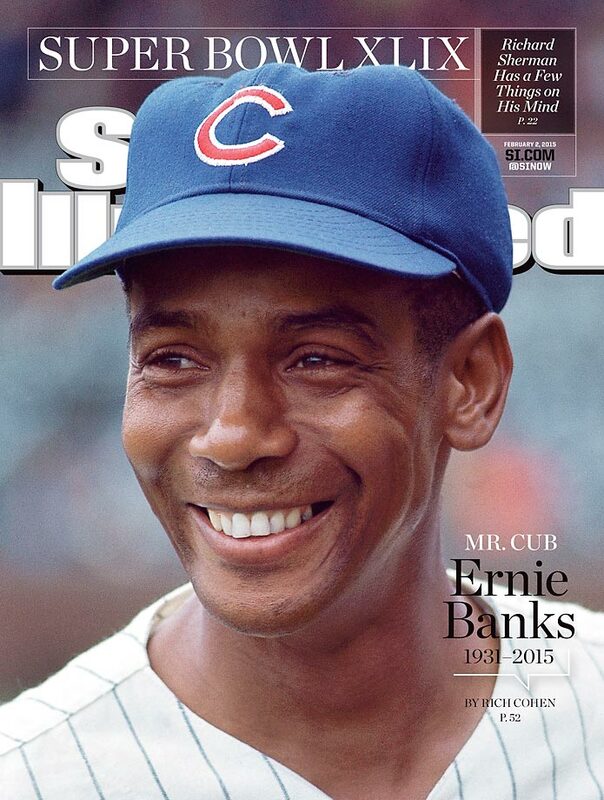 February 2, 2015 | Legendary shortstop Ernie Banks was the heart and soul of the Chicago Cubs despite never reaching the postseason in his 19 MLB seasons. 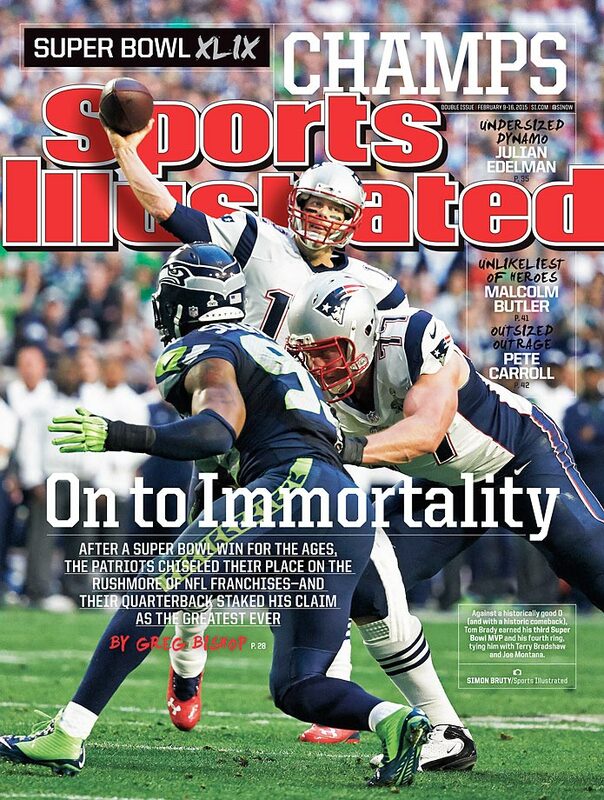 January 26, 2015 | The Seahawks and Patriots both have a legacy they want to stake by winning Super Bowl XLIX: being the best football team of this generation. 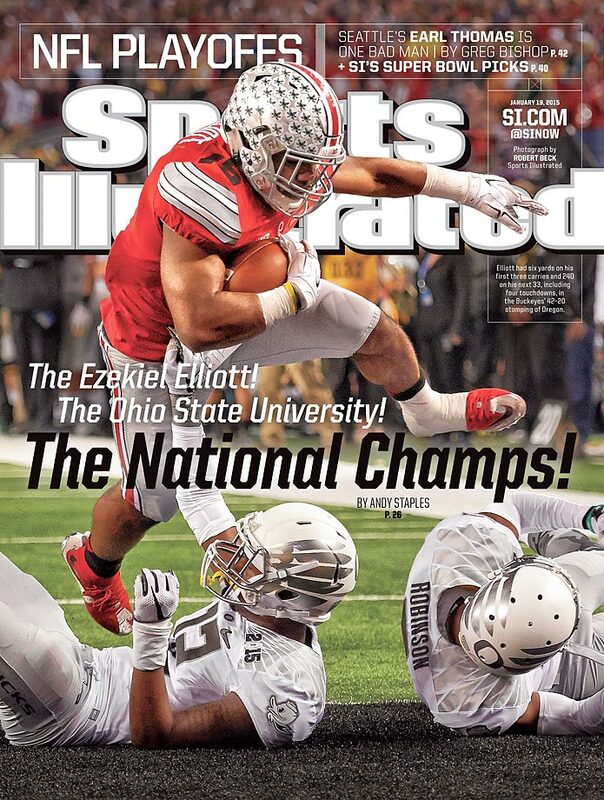 January 19, 2015 | Ohio State is on top of the college football after Ezekiel Elliott and the Buckeyes ran all over Oregon in the National Championship Game. 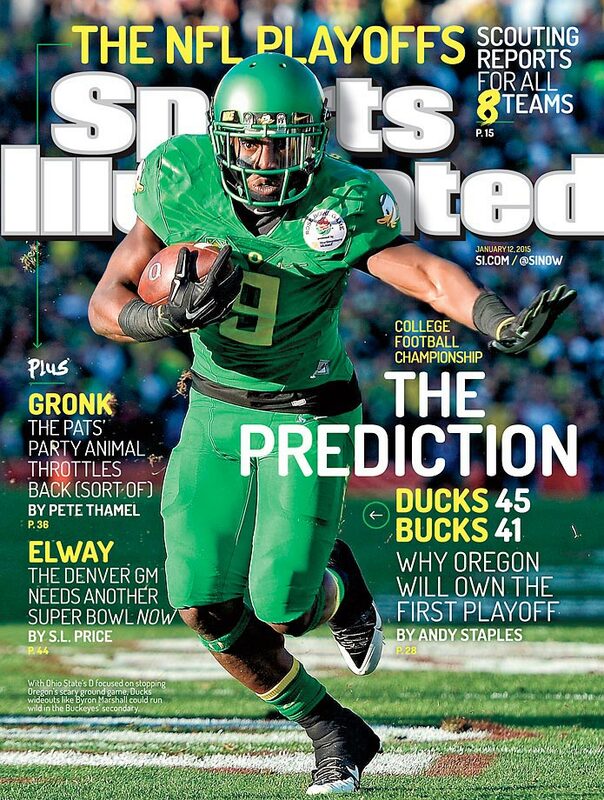 January 12, 2015 | No team has stopped Oregon in the past three months and Ohio State’s task in the National Championship game will be to slow down the Ducks’ feared running attack. 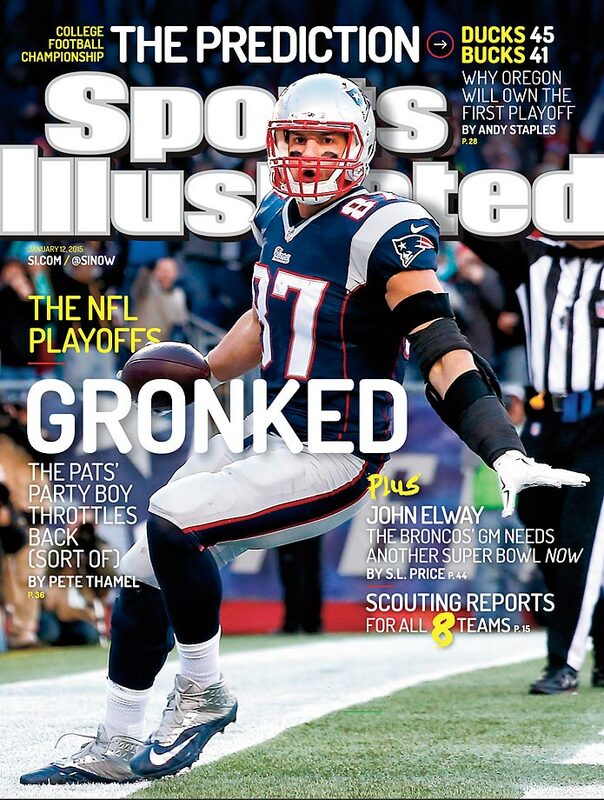 January 12, 2015 | All-Pro tight end Rob Gronkowski could be the key to the New England Patriots hoisting another Super Bowl trophy.